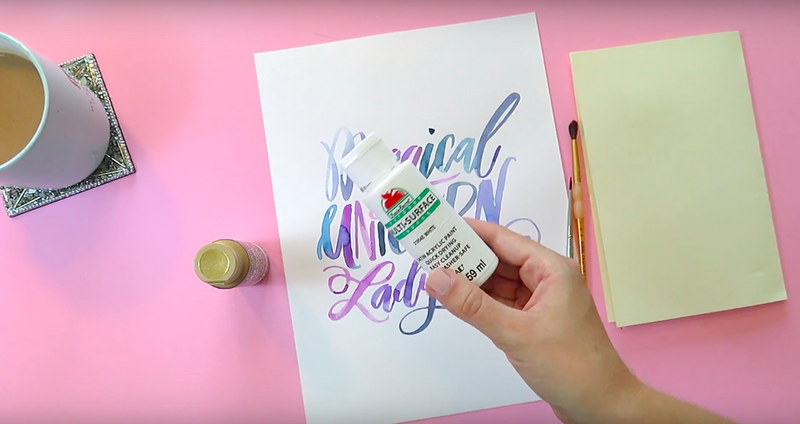 Watercolor Lettering Basics: Which Watercolor Should You Use? 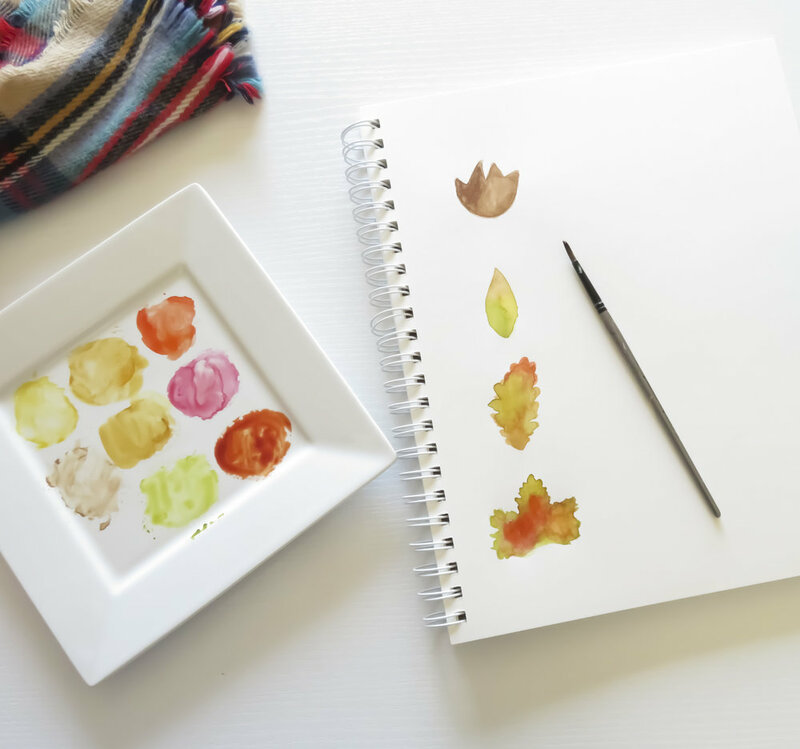 I'm so excited to kick off the first part of my new series: Watercolor Lettering Basics. I've created this 5-part series as an introduction to watercolor lettering. By the end of this series I want you to be more comfortable with the idea of using watercolors and a paintbrush in your lettering practice! 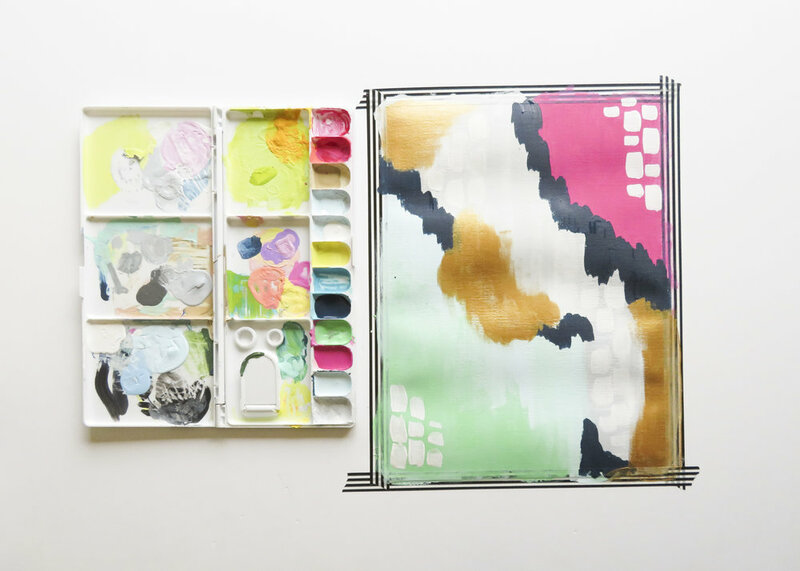 How to Make Traceable, Printable Worksheets Using ProCreate! Recently, in my private Facebook group, The Unexpected Letterers (you can request to join here), there was some discussion about how to create traceable, printable worksheets without using Adobe Illustrator. I thought this was an excellent discussion, because so many of my creative friends don't have the time or money to invest in programs like Illustrator or Photoshop.....but they do have an iPad Pro. I love a simple floral wreath to accent any kind of lettering. 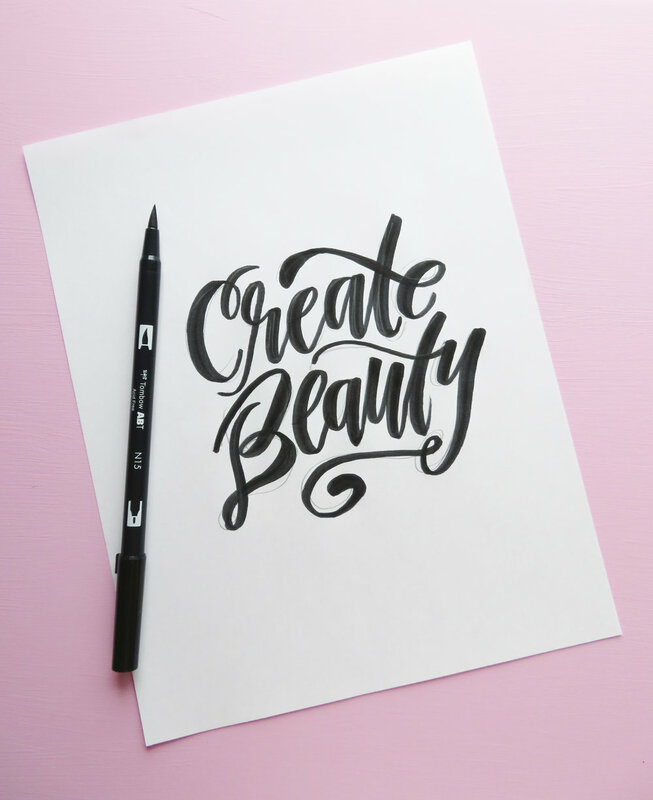 It is one of the biggest trends in lettering and art right now, and I foresee it will remain a trend for years to come. Recently, I have been trying not to neglect my Dual Brush Pens so much! I've got a beautiful collection of them in my office, and I'm not using them nearly enough. SIDENOTE: This is how I store my most-used Tombows! In the spirit of paying lots of loving attention to my dual brush pens, I was playing around with how to add easy shadows to my lettering that goes beyond just adding a dark line. I wanted to add dimension, but I didn't want it to be difficult. And I came up with a little system that works for me, and, in my opinion, looks pretty good! 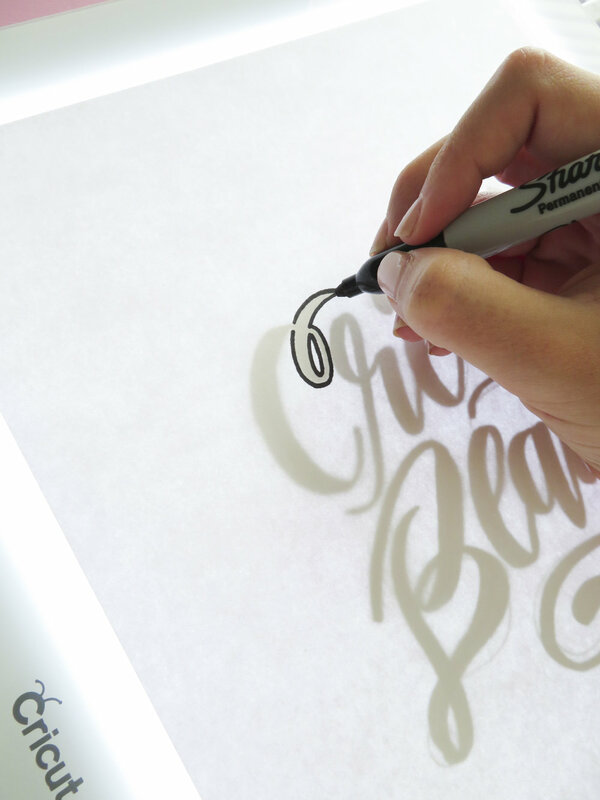 Watch this short video tutorial on how I'm creating dimensional shadows to take my lettering up a notch or two! What did you think about the video? Are you going to try this technique? Leave a comment below and tell me! I would love to hear from you! Hey y'all! Lately, I've been thinking video is a way more effective method of teaching you all my tips and tricks! So, that's what I decided to go with this week. 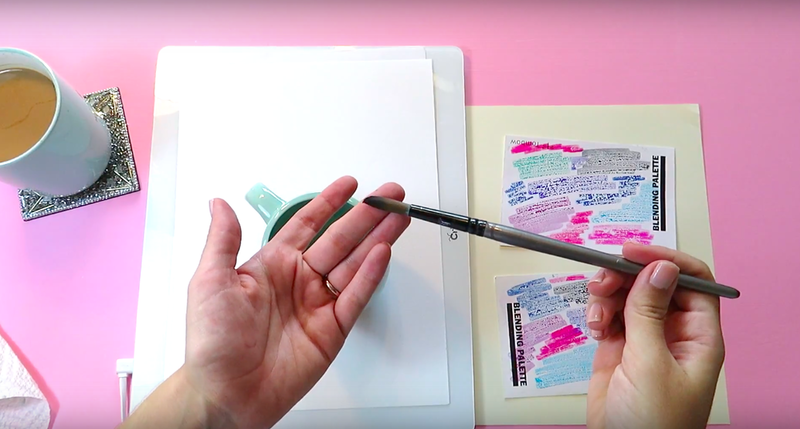 Today, I'm sharing my Top 4 Tricks for better brush lettering (on the first try) with my all-time favorite pen, the Tombow Fudenosuke Soft Tip! I encourage you to watch the video below, before scrolling down for a full list of supplies and some extra details on using these tricks effectively! This is one of my tried and true methods for getting my lettering to fit together like little puzzle pieces. Like I mention in the video, I've been lettering for two years....don't get discouraged if this trick doesn't work for you, or if you takes you a bit longer to develop the 'second sense' for letter/word placement. It is something that truly comes with time, experience, and lots of experimentation! 2. 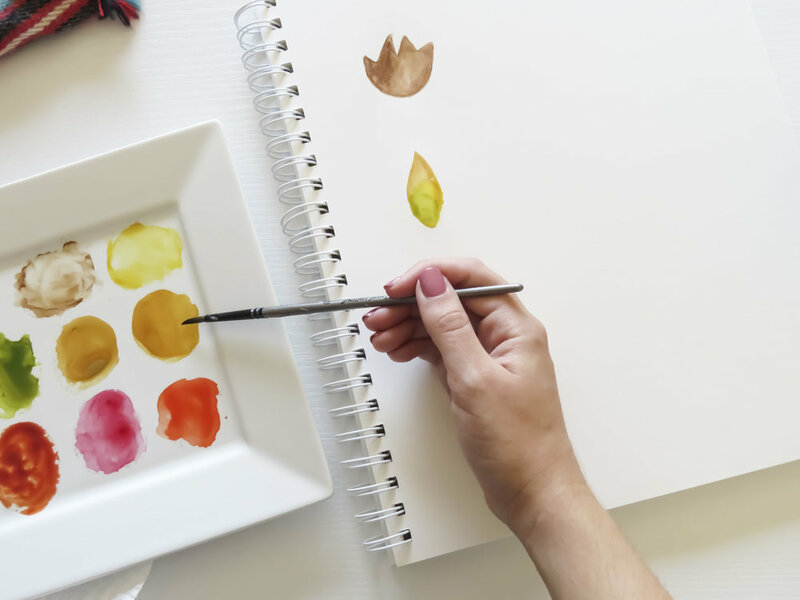 Save your more troublesome strokes for last! If the second trick doesn't quite work for you, that's fine! This one will solve that. 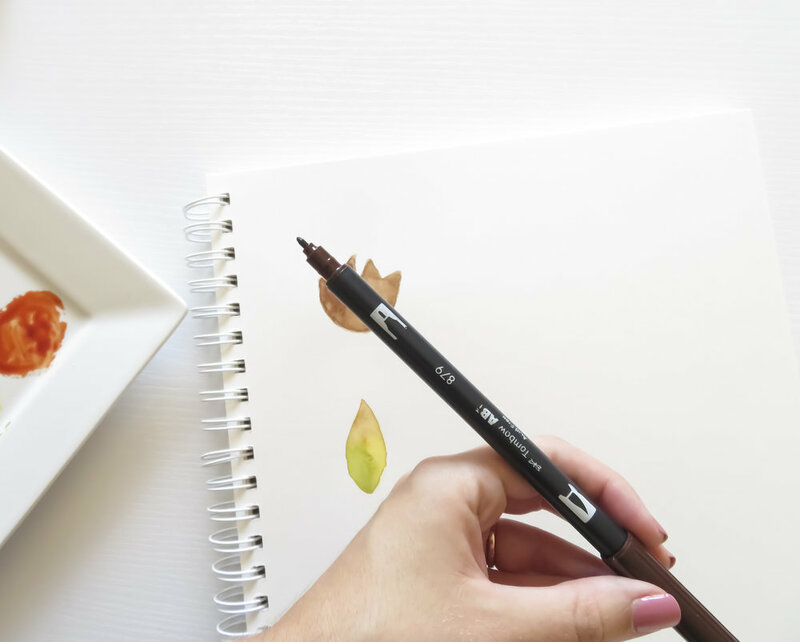 Use a fine liner pen like a Micron or a Tombow Mono Drawing Pen to clean up your rough edges. Take your time doing this, though! Any wrong moves, and everyone might figure out your secret! 4. Get yourself an artist grade eraser! This one is a game changer! As you can see, I like to letter directly on top of my sketch, as opposed to using a lightbox...even though I still use one of those too. But, I'm able to get such a clean final product by using an artist grade eraser when I'm ready to get rid of those pencil marks. A regular eraser just doesn't do the trick quite like one that is meant for artists! Trust me on this one....I have an 'Eraser Round-Up' here you can refer to if you need some suggestions. Ok, y'all! That's it for this week. Let me know in the comments if you have tried any of these tricks, and whether or not they work for you. Do you have some tricks of your own? I want to hear about that, too! 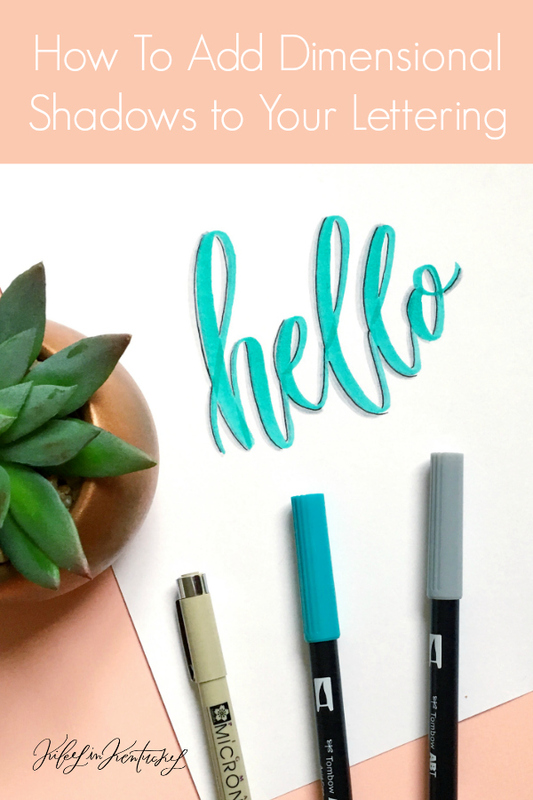 Get access to my SECRET Library of FREE lettering + blogging resources! Today, I'm showing off a little wall art I created that actually doubles as an adult coloring page! 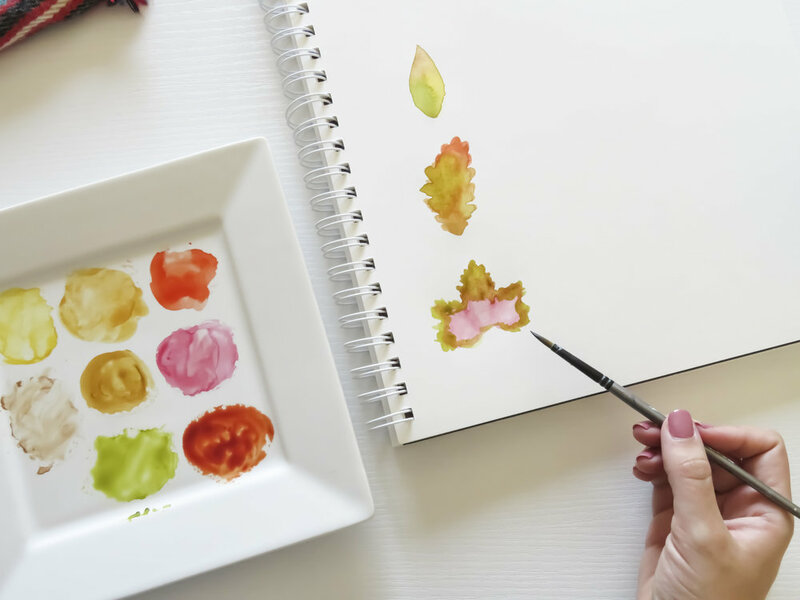 What's better than some Spring-themed wall art that looks great as it is, or that you can splash some color on? I'm turning these floral doodles I did into a digital art print using my iPad, and adding some color using the Tombow USA 1500 Colored Pencils. Y'all, I'm so excited to be bringing you a tutorial in a new form today----video!! It's so exciting, though I am a bit nervous for you to see it since I haven't done a YouTube Video in like 3 years. This week, I posted this photo on Instagram, and a lot of people were surprised to know that I used Tombow Dual Brush Pens (The NEW Galaxy Palette) to create this awesome watercolor piece. The new galaxy palette is stinkin' AMAZING. All the colors in this 10-piece set combine and blend together to make beautiful unicorn/galaxy hybrid color variations! Check out my quick swatch picture below. I created this first thing just to have a 'key' when choosing what colors I wanted to pair together. AND BTW: You can get all Dual Brush Pen 10 Packs 20% off if you use the code 'YAY20' on Tombow's Website. Don't miss out on this offer....it's only good September 22-26! Then, I decided...why not film myself re-creating the watercolor piece? In the video I not only use the markers in the galaxy palette to create watercolor lettering, but I use a few extra tools to bring the galaxy theme to life. 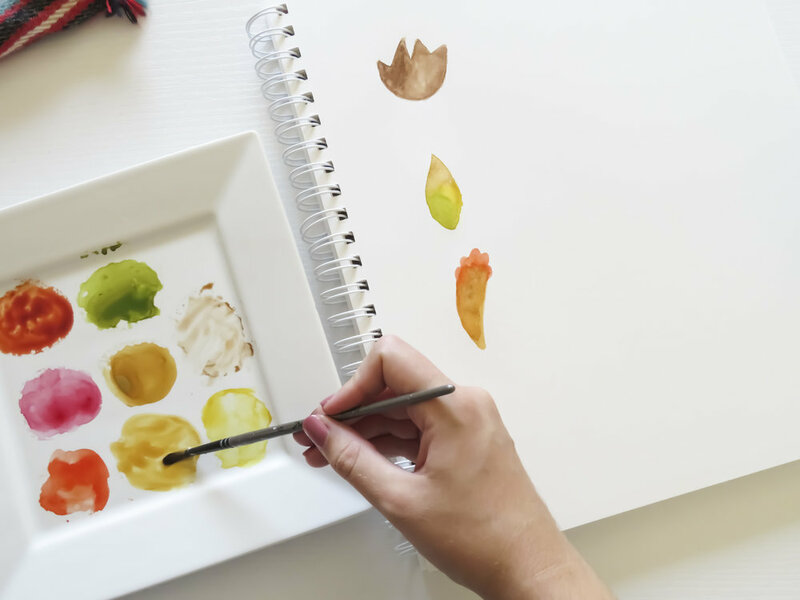 Click play to watch the video, but refer back to this blog post for a full list of recommended materials, and written instructions. 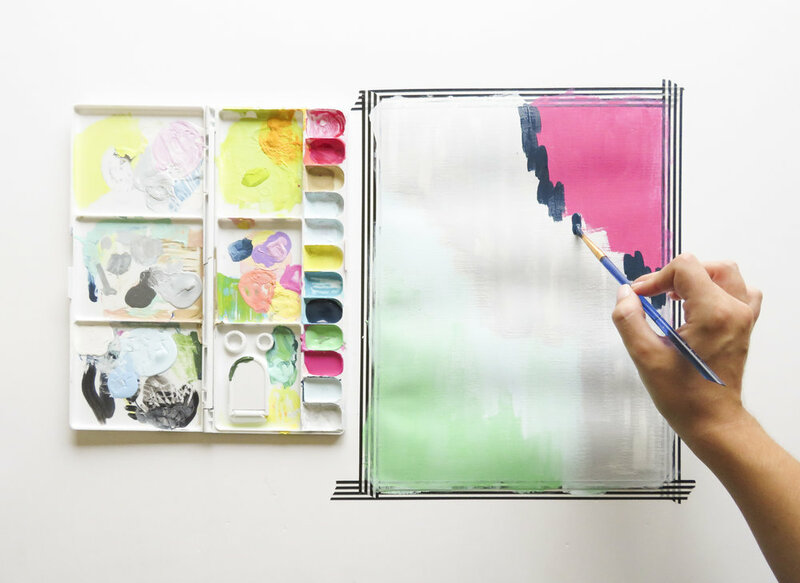 0:55 - Grab a piece of paper (any kind of your choosing) to sketch your design. Don't worry about this being perfect...you just need a good sketch to trace from. 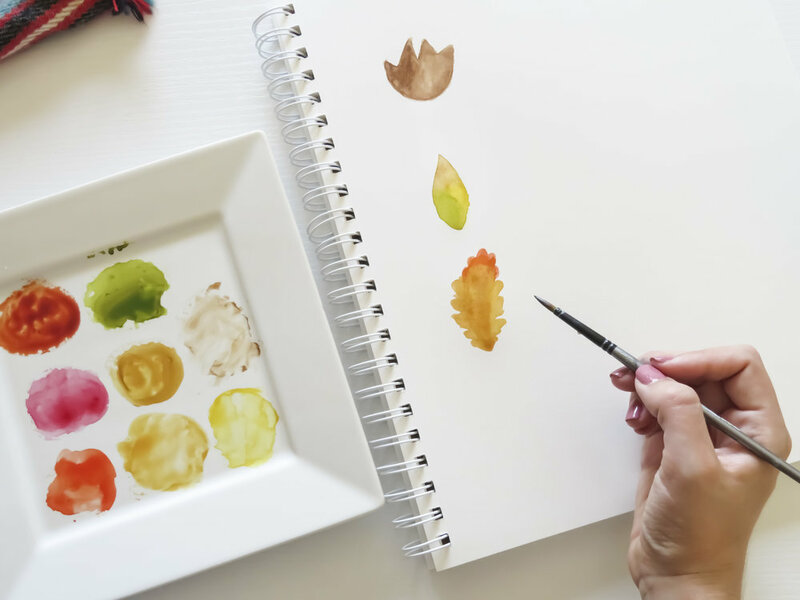 1:58: Place your sketch onto a tracing pad and line your watercolor or mix media paper on top of the sketch, where you want it to appear in the final result. 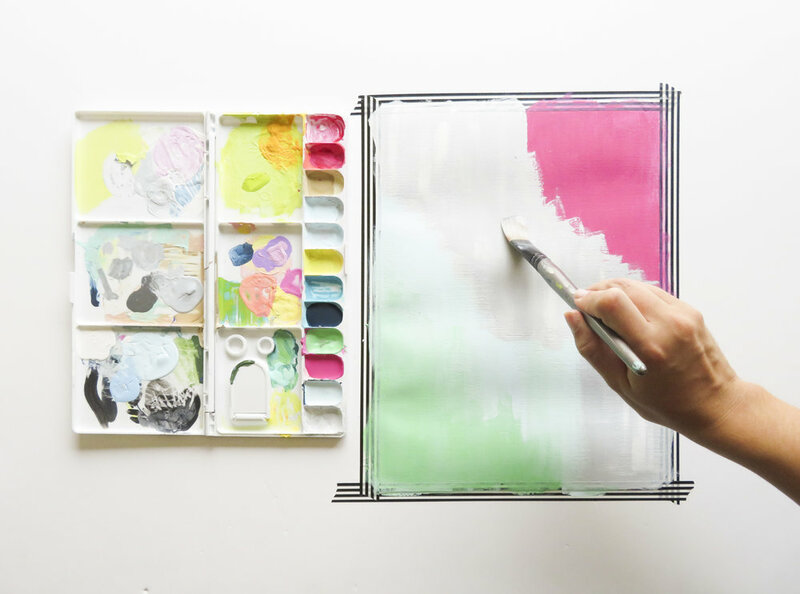 3:10: Begin scribbling your dual brush pen tips onto your blending surface---I'm using blending palette sheets from Tombow, but you could use alumnium foil, plastic baggies, or any other slick plastic surface. 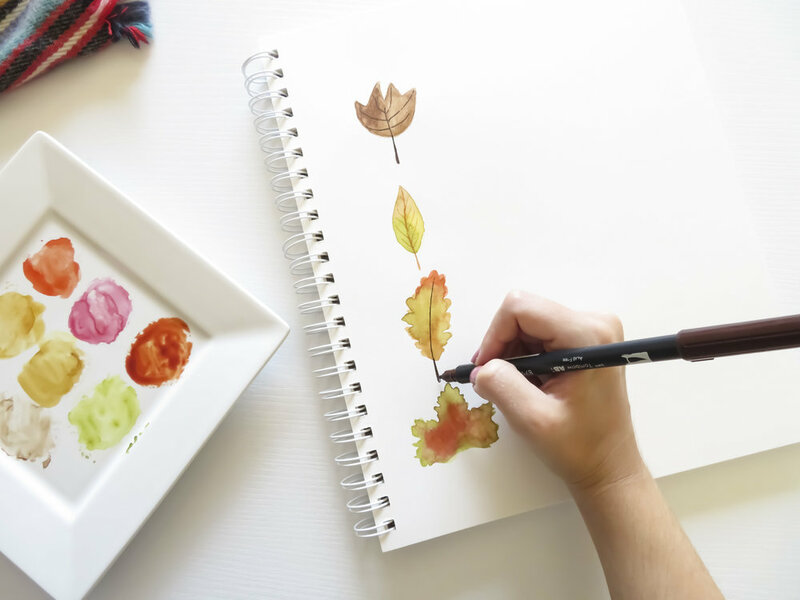 Dual Brush Pens are water-based, so they wipe off easily from a plastic surface with a damp paper towel. 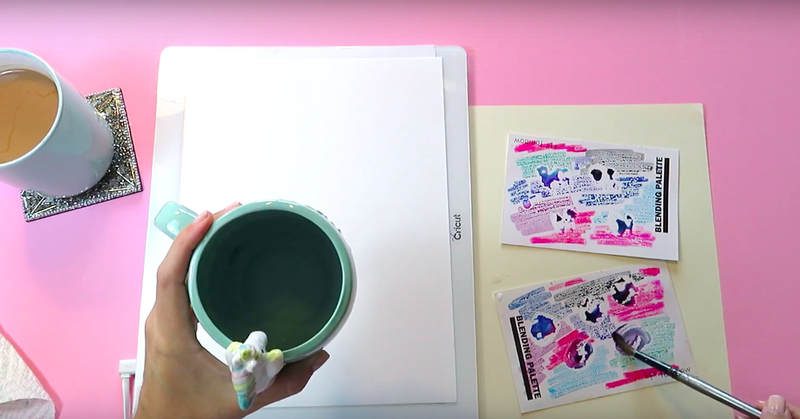 I'm using two sheets because I want to get multiple color variations going---I explain this in the video! Set the gray dual brush pen from the kit to the side, because we're going to save that one for later! 3:55: To apply my watercolors to the paper, I'm using this Size 12 Round Brush. Have some clean water standing by! 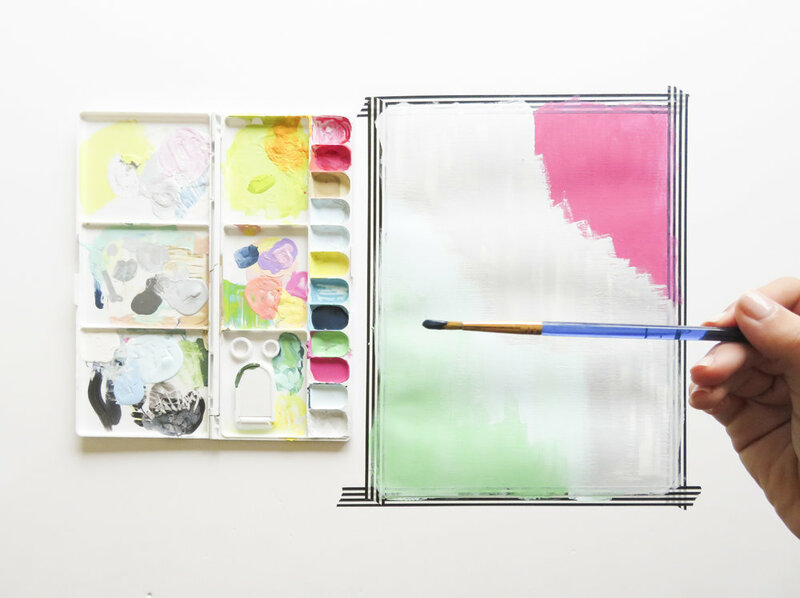 4:05: With a lot of water in your brush, start dabbing it onto the palette and mixing two colors together at a time. This is how we will create the super pretty unicorn/galaxy color variations in our piece. 4:54: Have at it! 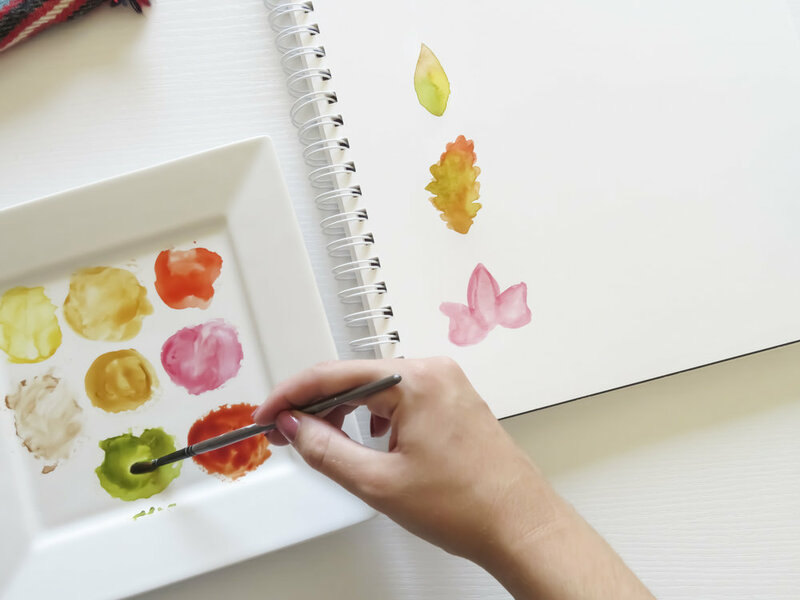 Start using your brush (filled with color and water) to bring life to your piece! I highly suggest watching this portion of the video to see how I'm dropping more color into the wet paint to bring texture and excitement to my letters. 8:50: Once you're done apatplying the watercolors, wait for them to dry and watch the magic happen as the watercolors start to form really cool textures. 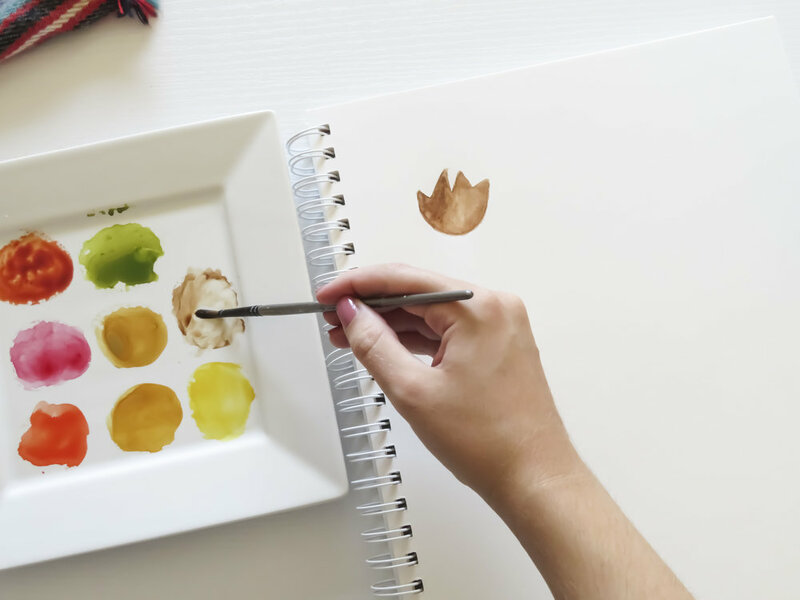 9:07: Grab your two acrylic paints (gold and white), as well as two brushes (a small detail brush and a stiff brush of any kind), as well as a surface to put your acrylic paint on. I just used a folded sheet of scrap paper. 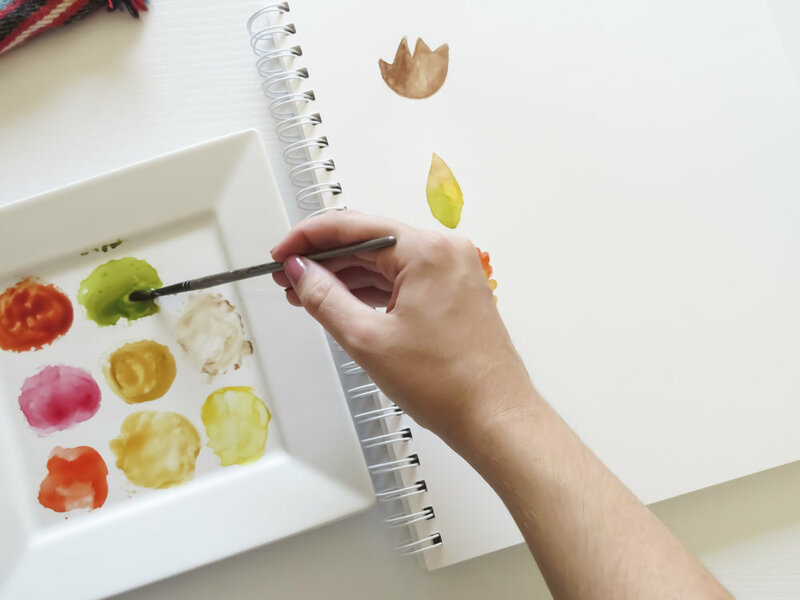 9:42: Grab your stiff brush and dip it in a little water and a little of the white acrylic paint. 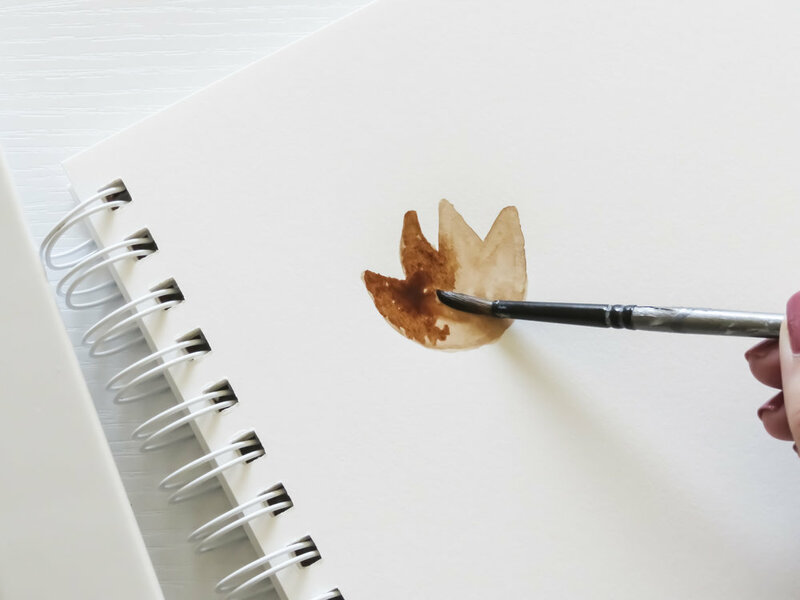 Use your finger to splatter the white paint onto your paper, creating a star pattern. 9:49: Use your detail brush to apply larger white stars in areas where you think a beautiful, shining star should go! 10:11: Repeat the same process with the gold paint to give it more shine and dimension! 10:42: Finally, use your gray pen to add shadows to the letters, finishing it off! GET READY, Y'ALL. This tutorial is SO stinkin' easy I can't even contain myself. It's so easy because.......it's monoline lettering. For anyone that's new here (first of all, hey girl hey), monoline lettering is the easiest of all the lettering forms. Because it's literally just a prettier version of your own handwriting. No thickened downstrokes, no trying to use a brush pen, no embellishments...nope. None. Just writing. Best of all, there's really nothing to completing this project except for some mad tracing skills, which I know we've all got!!! Lastly, the finished result is so chic, so impressive looking, and such a statement piece. I posted a photo of this on my Instagram last week, and so many people were texting or messaging me, asking if I could do something similar for a wedding or bridal shower. So, this tutorial will really get you some commissions if that's your thing! The materials you'll need are very minimal! -1 Piece of glass (size of your choice!) I am using a 9x12 piece from an old picture frame. 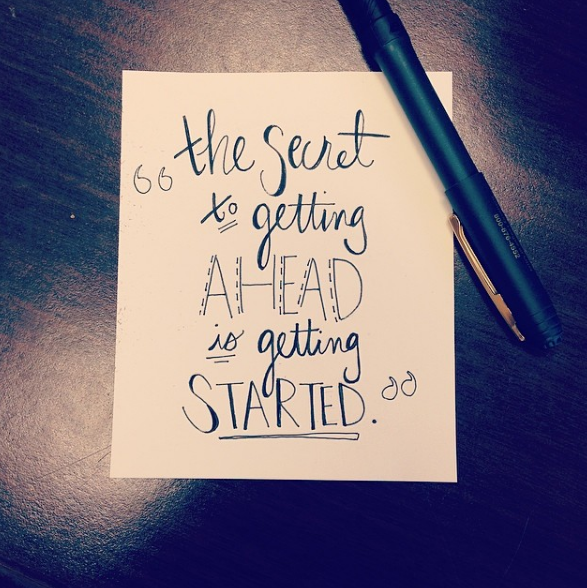 Begin by sketching your quote or design on a sheet of paper. Because I'm lettering on a large piece of glass, I'm using the entire sheet of paper. If you're lettering on a 5x7 or other size piece of glass, you'll want to trim your paper down to a size that fits your glass. 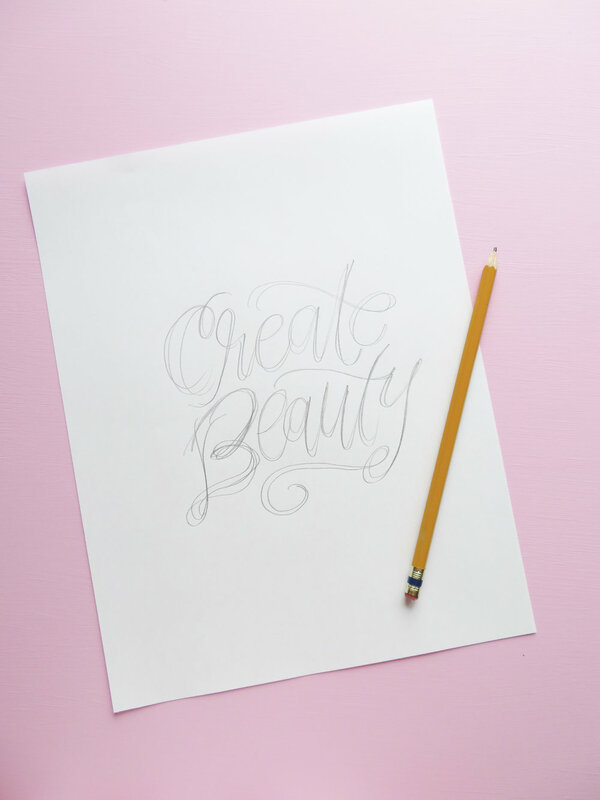 Maybe the best part about this tutorial is truly how crazy your pencil sketch can get! Look at that disaster! I'm pretty sure only I could ever understand what is supposed to go where...but hey, it's my process and it works for me! No one is going to see your pencil sketch except you, so don't fuss too much over it. Guess what? This part of the process doesn't have to be perfect either! YAY! 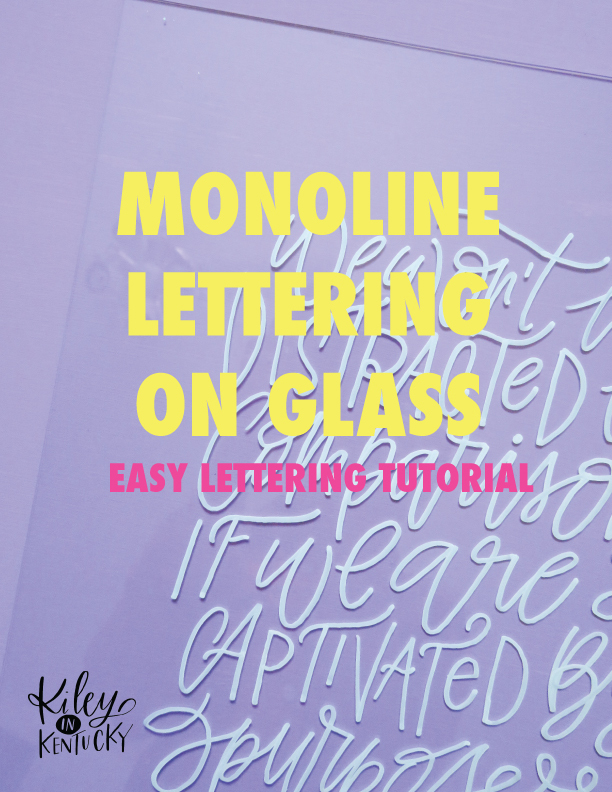 You could absolutely use a regular black Sharpie for this portion of the tutorial if you are planning to do monoline lettering. Once you're happy with your design, place your paper beneath the sheet of glass and position your design where you want it to appear on the glass surface. My only suggestion here is to go S-L-O-W and take your sweet, sweet time. Even though you have to pump these pens to get the juices flowing, I actually didn't need to 're-juice' for the entire piece. Isn't that awesome? wHAt?1?1?!?! Yes. I said complete. Done. Finished. This baby is ready for a wedding, a picture frame, a gift bag... a store window! 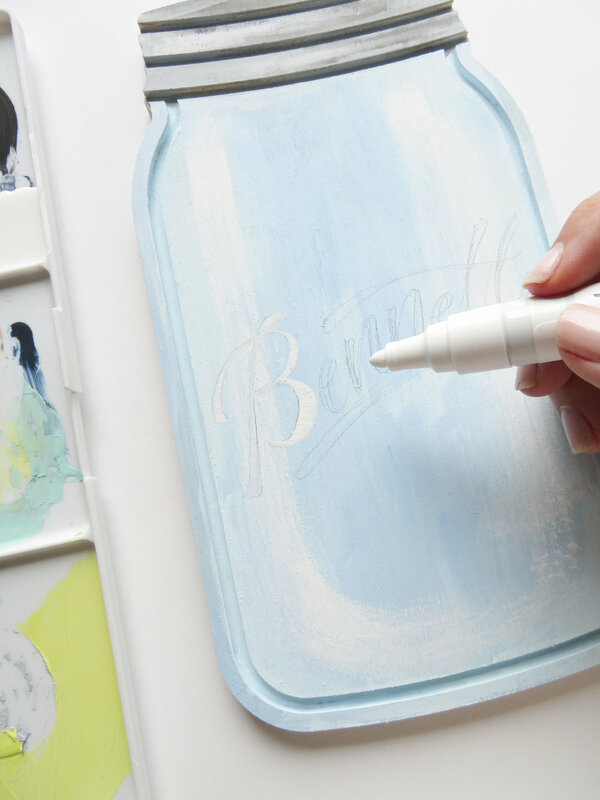 The possibilities are truly endless with this crazy easy DIY that will fool EVERYONE into thinking you're some sort of lettering-pinterest-guru-goddess. Which, maybe you are, idk?! I'll be putting this bad boy on my new bookshelf in my office. I'm currently redecorating my entire office, and I can't wait to show you the photos of where this guy is going when I am able to put all my decor in place! So exciting! Woo! 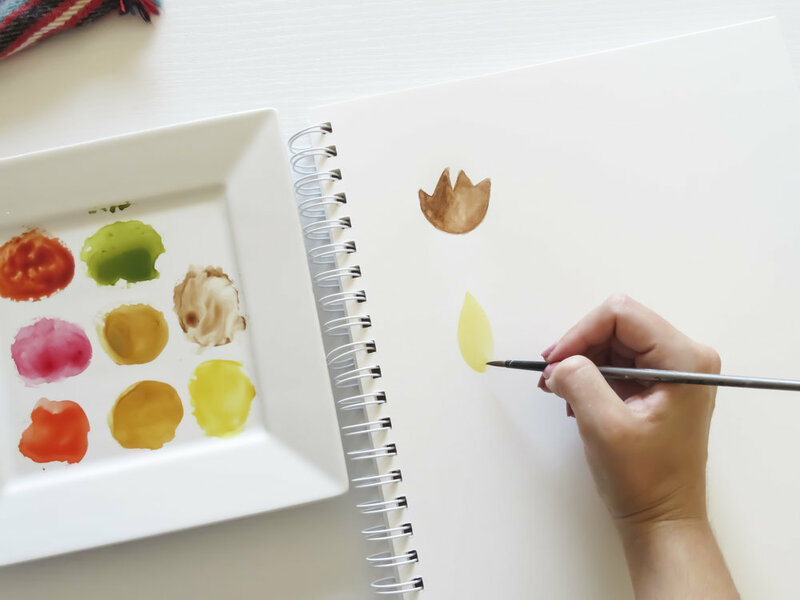 I'm bursting at the seams to bring you this step-by-step easy-peasy-lemon-squeezy abstract painting tutorial! 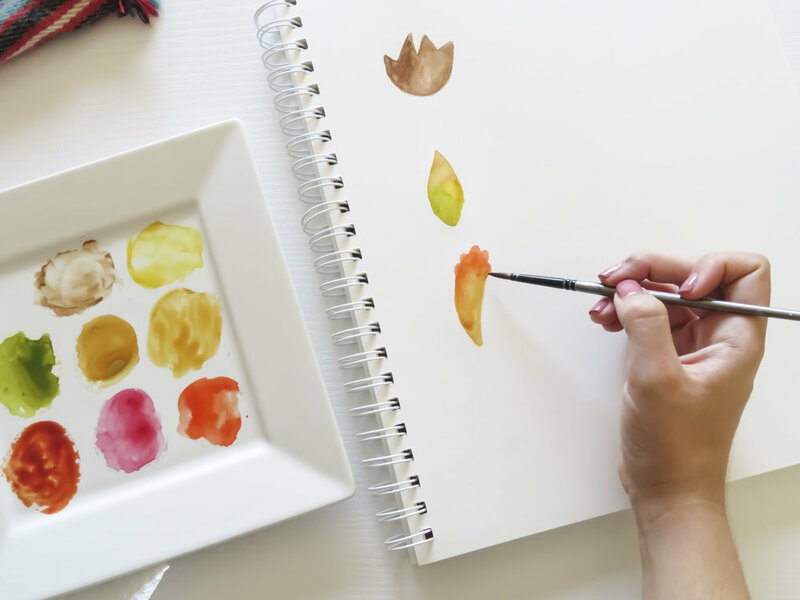 If you follow me on Instagram, you know I've recently become obsessed with the abstract art medium, and since I'm still a beginner, I wanted to share a beginner-level tutorial with you. Trust me, if I can do it, so can you! What I'm loving most about acrylic paint right now is how stinkin' affordable it is. Acrylic paints only cost about 50 cents at most craft stores. Since I'm not selling these or really even giving them as gifts, I don't need to invest in anything more high quality at the moment. -A variety of acrylic paints. You could use whatever colors you please that complement one another!! -Not pictured: a cup of water and some paper towels for washing brushes between colors. 1. 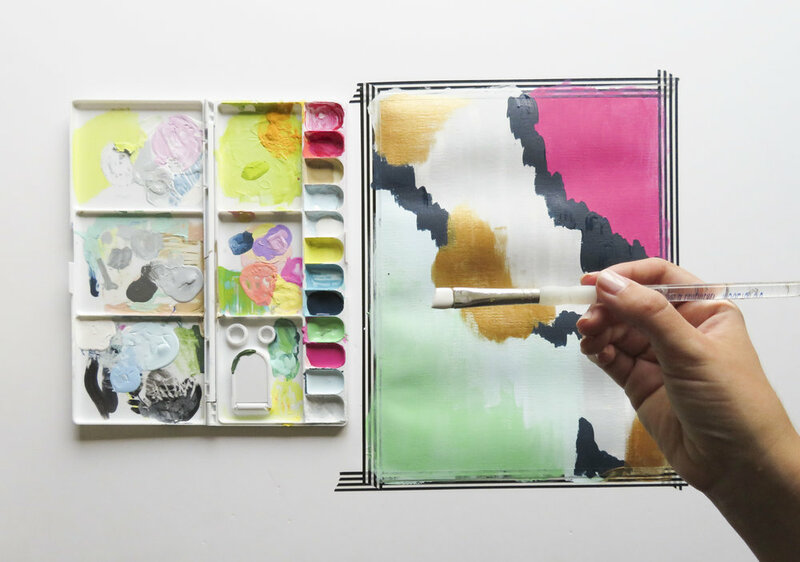 I like my paper to stay secure so I can really go crazy with my paint brush! As you can see, I also have my palette to the left of my paper. My palette is horribly messy, but oh well! The main colors I'm using are in the bottom 5 wells of the palette. The white and gold paints will be applied directly to the paper later in the tutorial. I keep my cup of clean water beside me the whole time, but I did move it out of the frame to keep the light bright and airy for this post. So, please remember, I am completely cleaning my brush between switching colors. When cleaning my brush, all I do is swish it around in the cup of water until it comes clean. Once clean, I squeeze the brush tip with a paper towel until most of the water is out. It's a really fast process, and it 'ain't no thang' if your brush is a little damp. It actually helps the paint go on much more smoothly! STEP 1: Start with green (or the color equivalent of your choice). 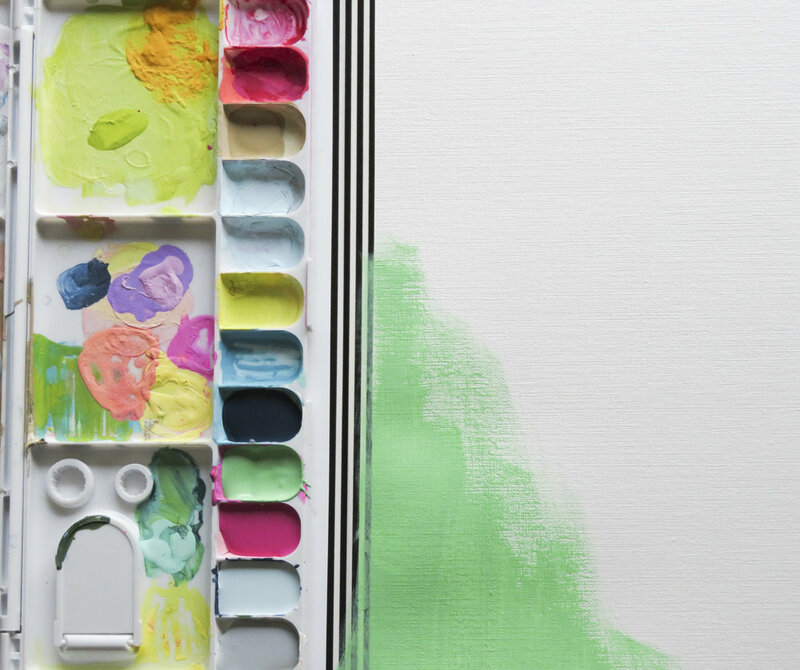 You will simply want to dip your brush in the green enough to cover about one quarter of the flat brush head. It's better to get too little than to get too much, as you can always add more, but you can't take away! Have fun with your paint strokes. As you can see in the close-up, I'm not precise at all! I like a little rough brush stroke texture. It will most get covered up anyway! STEP 3: We're moving to the pink (or your color equivalent) next! Pick up about the same amount on your brush. STEP 4: Do pretty much the same thing with the pink (or color equivalent) in the top right hand corner. Try to match my shape as much as you can, but once again...HAVE FUN! Don't stress. STEP 5: This is where it really gets fun! Pick up the light blue color (or equivalent) and start brushing it on just to the right of the green. I didn't do a great job at photographing where the blue should go, but you can definitely make out where I placed it. As you're brushing it on, you wanting to overlap with the green to create this soft minty color. Ultimately, you want the green and blue to be blended like so. Alternate between picking up more green on your brush, then picking up some blue until you get the consistency and look right (or similar). Remember the rule: Don't stress! This is abstract. It is fun! Don't be afraid to 'mess up.' Imperfections are what this kind of art so rewarding. 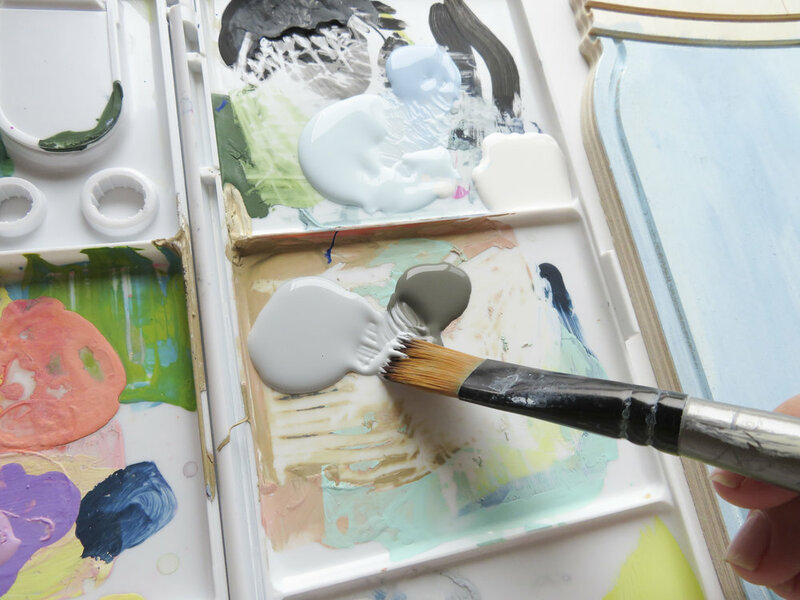 STEP 6: After the green and blue is blended, you'll want to pick up quite a bit of gray (or color equivalent) on your brush. The gray color is going to cover up pretty much all the white space you have between your blue and pink. Brush it on freely, not trying to blend with any other colors, just filling in space and having fun! 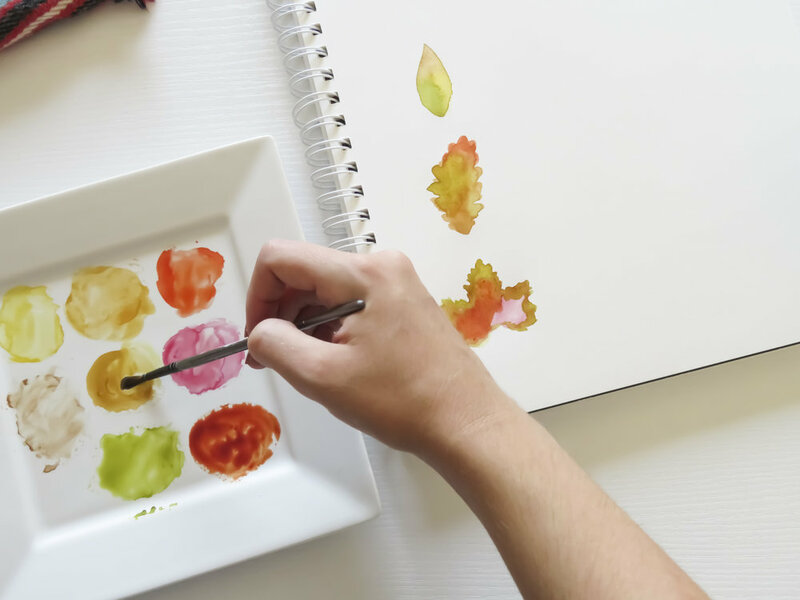 This is about what your painting should look like (or similar!). Everyone's painting style is different, and I think it's probably impossible to recreate anything exactly (even I can't match every brushstroke). Now, we're going to add accents that can cover any areas we may not be crazy about. STEP 7: With the white paint, put little drops of white all across the gray area, as seen above. With your brush, simply swipe up and down, spreading the white dots out, creating white brush stroke-y areas across the gray section. Very technical stuff here, guys! STEP 8: With a smaller round brush, grab a decent amount of the navy color (or equivalent). 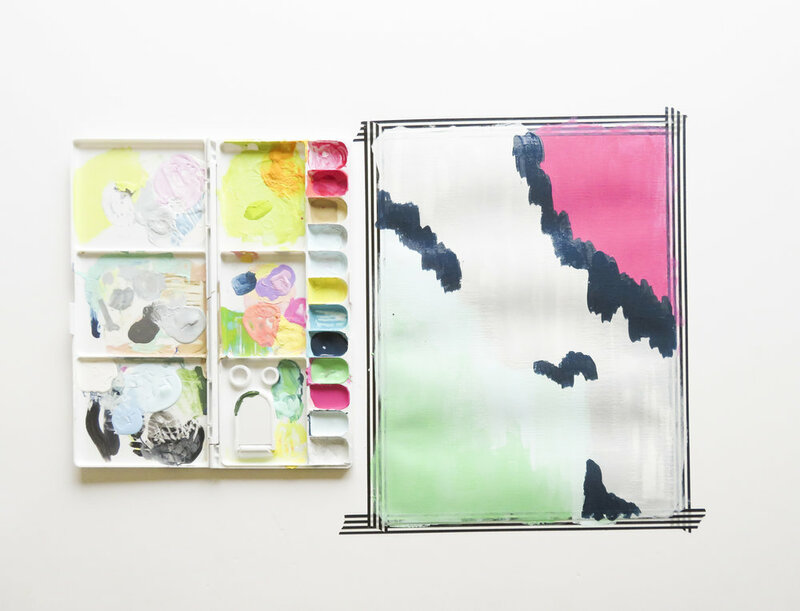 Place the navy paint in the un-blended edges where two colors meet, roughly in the areas seen above. STEP 9: Now, with the gold color, make dots of paint on the paper as I did above. You'll need more paint for a smaller area, because the gold paint is quite sheer, and we want it to be a bit more opaque! Side note: I'm using an angled flat brush for the gold paint. You don't have to use the exact same type of brush, but it really does help achieve the look I'm going for in this tutorial. 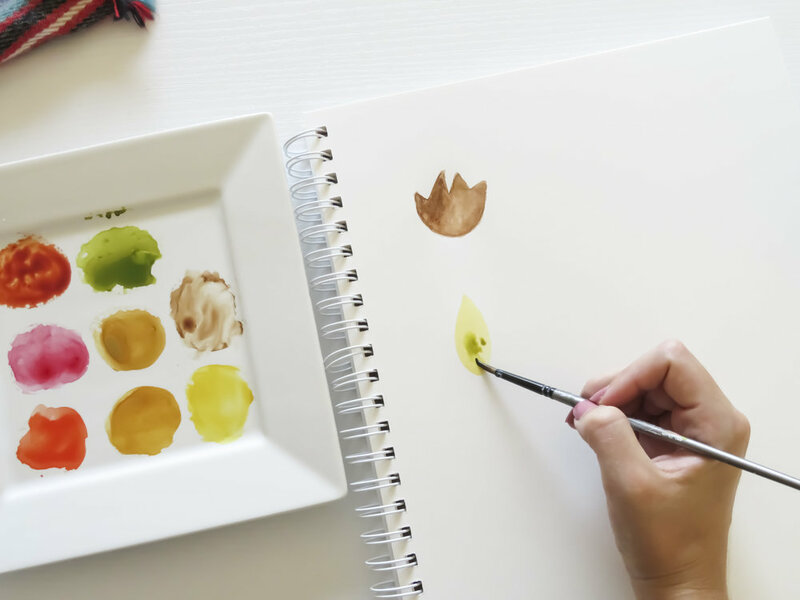 Use the angled flat brush to spread the gold out into an even, opaque layer. Do your best to feather it out at the edges, if possible! Here's a closer look at how I'm spreading the gold paint out into a completely even later. All the streaks of thick paint will be gone by the time I'm done with this step. As you can see, I also decided to add a little extra splotch of gold in the upper left hand corner. Basically, add gold where you think it needs to go to be a balanced look! 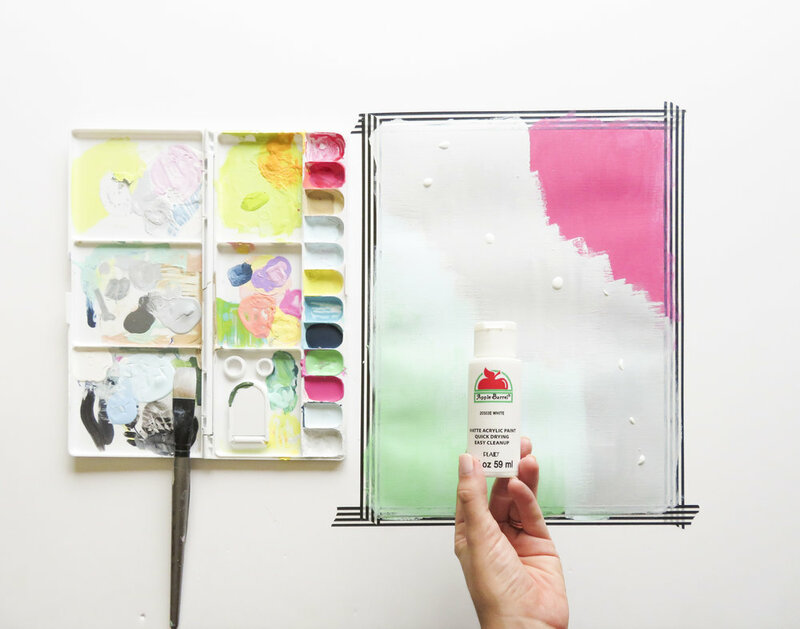 Use this brush to make these rectangular-like dots of paint in various lengths. You can add these dots wherever you think they're needed! I added the dot pattern in the two corners, and in a portion of the gray section, which is only barely visible. I like that the pattern is subtle in some areas, and really sticks out in others! STEP 11: PEEL THAT TAPE, GURL! You don't have to wait until it's dry to peel the tape up....who has the patience for that anyway?! I am currently in the process of redecorating my office (so excited to blog about the process! ), so all my walls are bare. I threw this painting in a frame and quickly hung it on my wall for a temporary photoshoot! My cat is having a great time posing in front of the camera!! I want to know! 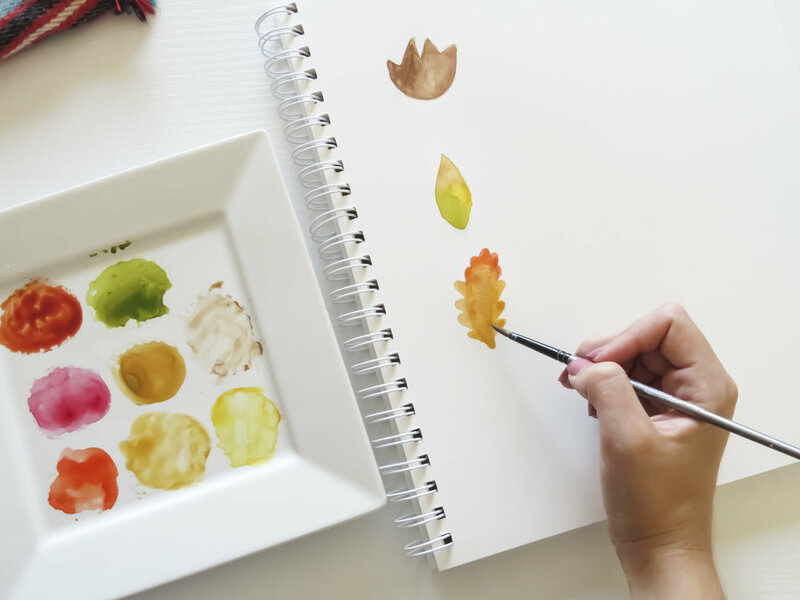 Are you going to try this step-by-step tutorial for yourself? 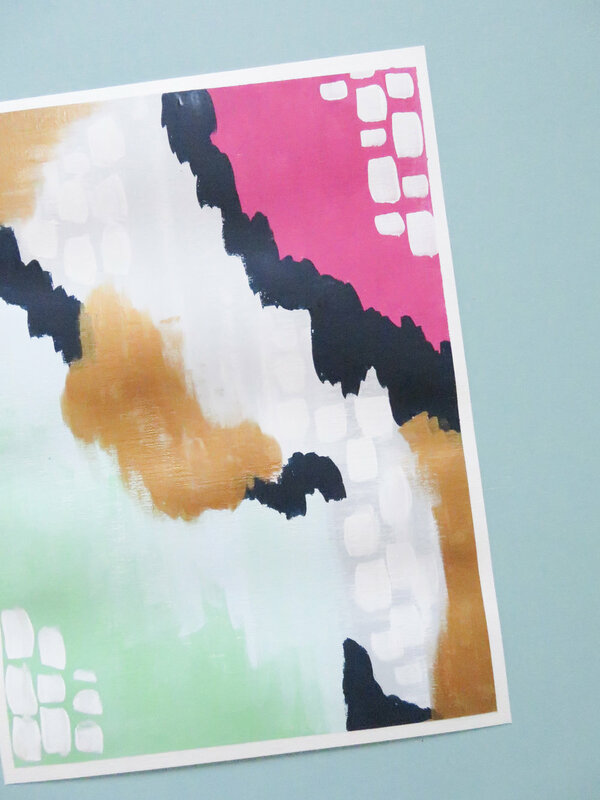 Are you into this abstract style? Where do you want to hang your painting? Let me know it ALL in the comments. Hey y'all!!! 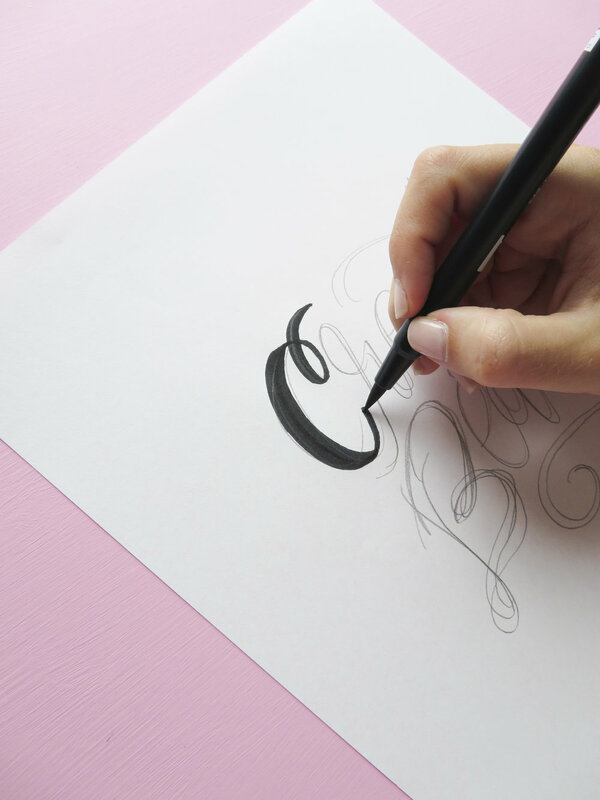 I have the MOST FUN lettering tutorial for you today. 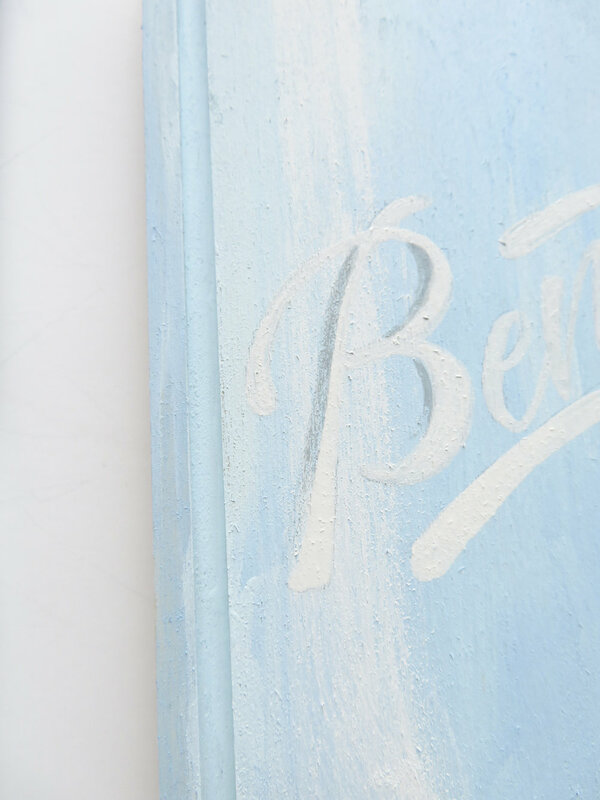 This tie-dye inspired lettering tutorial came straight out of my new favorite lettering book, Lettering With Purpose, written and illustrated by my girl, Brittany Luiz! Ever since this book arrived at my doorstep, I've been so excited to curl up with a cup of coffee, my favorite brush pen, and mark all the tutorials and pages that inspire me most. Today's tutorial is the first one that caught my eye, and I just had to share it with you! P.S. I got permission from Brittany to share this tutorial with y'all! Please let this blog post be an indicator of how truly amazing and info-packed this book is. All of this came from ONE PAGE. OK, I'm sure you're like "get to it, woman!" so let's get started. 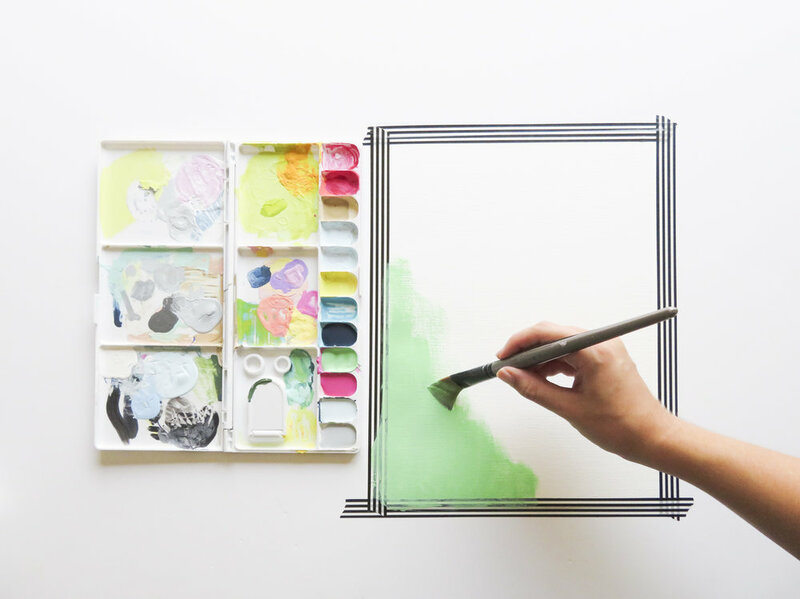 Begin by sketching your design out on a piece of regular copy paper with a pencil. Don't worry too much about making the sketch perfect! As you can see, I definitely didn't! 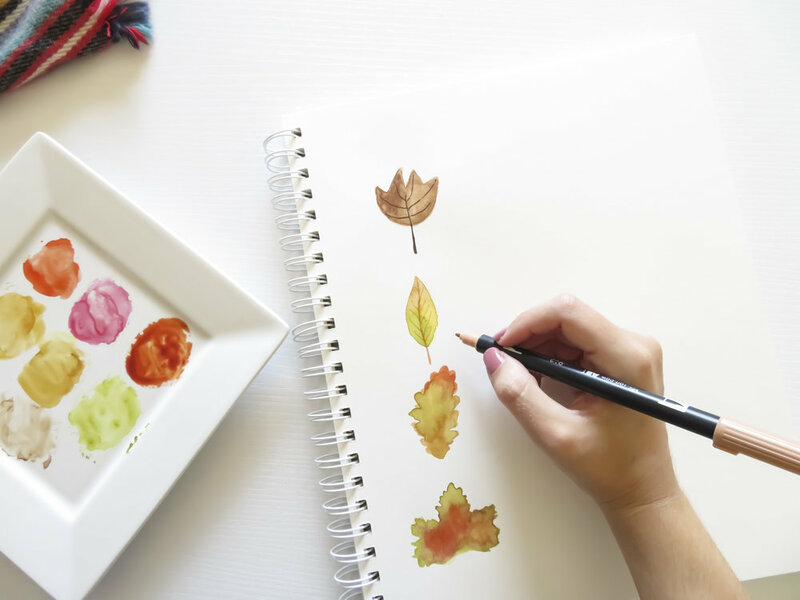 Next, trace your pencil sketch with whatever pen you want to use! I am using a large brush pen to create thick lines, and then tracing over the downstrokes again to make them even thicker. This is my final tracing with extra thick downstrokes! 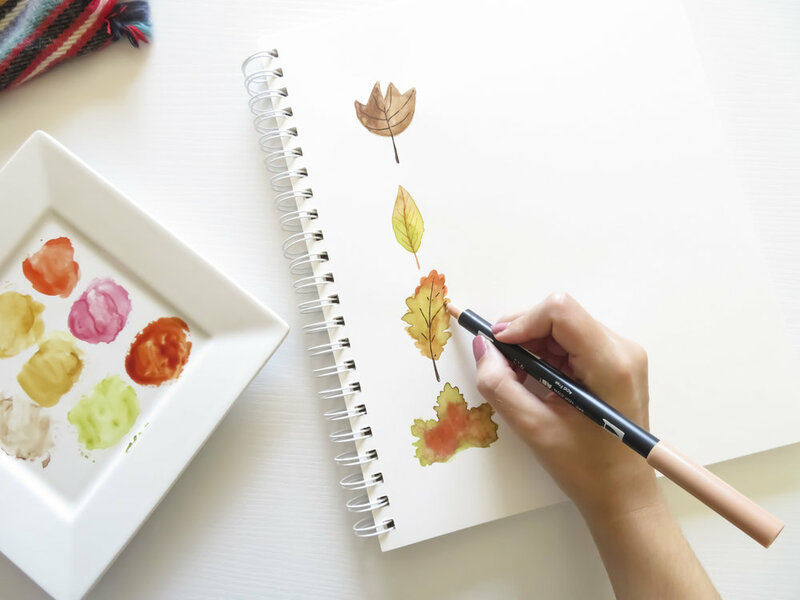 One of the best parts about this tutorial is....NO ERASING PENCIL MARKS! 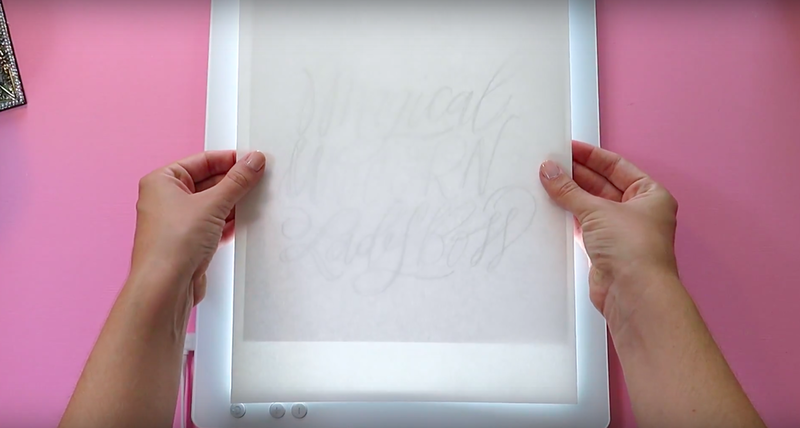 Take your traced sketch to a light box! I'm using the Cricut Bright Pad (I did a more comprehensive review and tutorial about this awesome device here). If you don't have a light box, no problem!!! 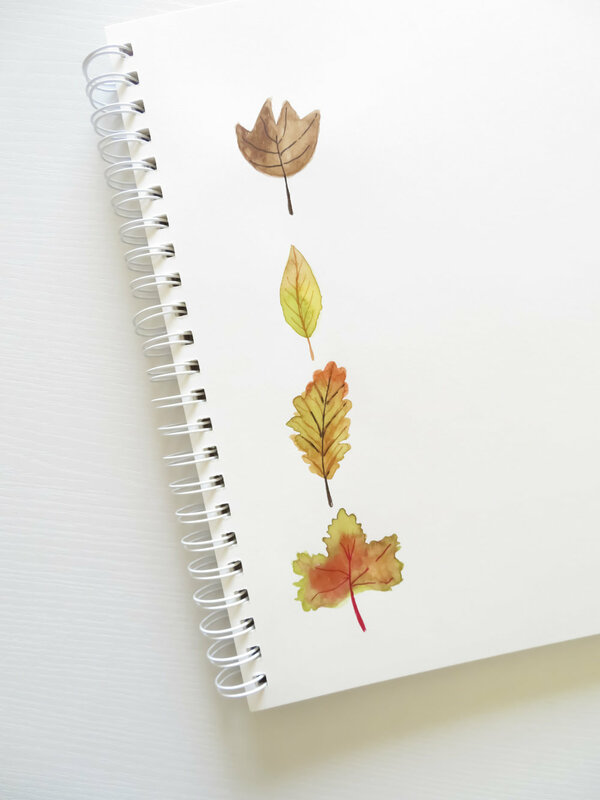 You could easily hold your traced sketch up to a bright window and trace that way :) I've done it multiple times. Ok, so here's the thing! You HAVE to use a permanent marker for this step!! I mistakenly used the fine point nib of my Dual Brush Pen for this step and it just messed everything up...you'll see why in a moment. But, don't be like me. Please read tutorials correctly and use a permanent marker! Anywho! 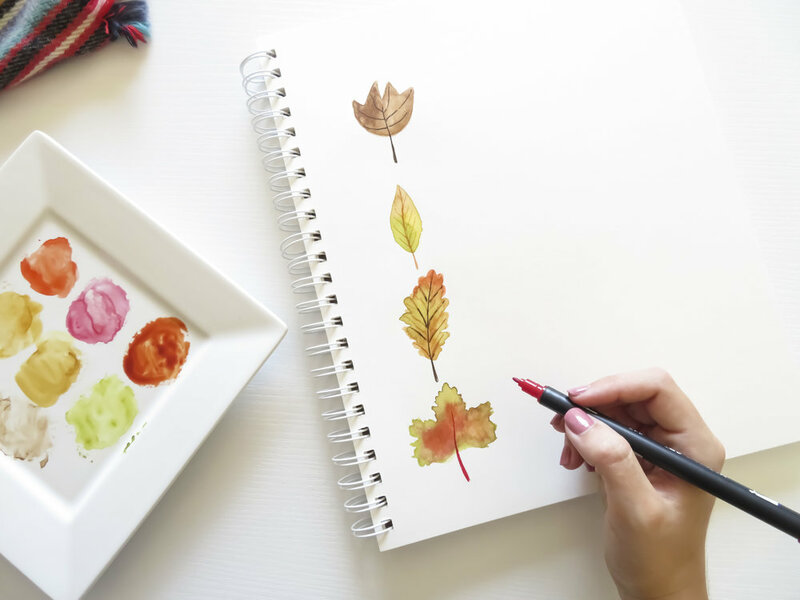 You want to outline your tracing with a permanent ink on a heavy-duty cardstock or a paper designed to hold water (such as: watercolor or mixed media paper). This is what my outline looked like! It is not perfect by any means but the final result looks great, nonetheless. Next, you'll want to choose two colors for the 'tie dye' part. 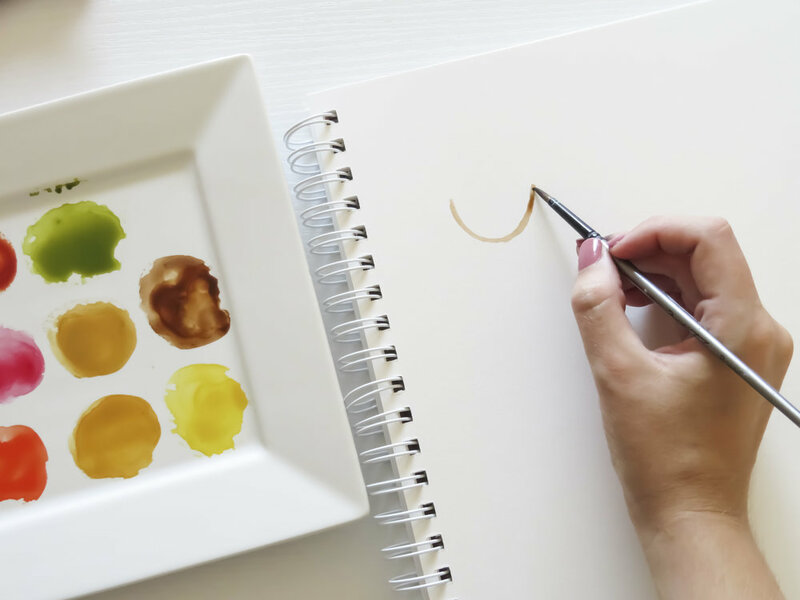 It is best to choose two colors that are similar and could be mixed together really well, but not too similar that you couldn't tell the difference between them when they are blended. Make sense? Other great combos would be: yellow and green, pink and purple, yellow and orange, pink and orange, blue and yellow. This is such a fun step! Next, take each of your colors and 'scribble' them in random shapes and patterns across your letters. You don't have to be careful! I certainly wasn't....that stuff got everywhere. But I loved doing it! 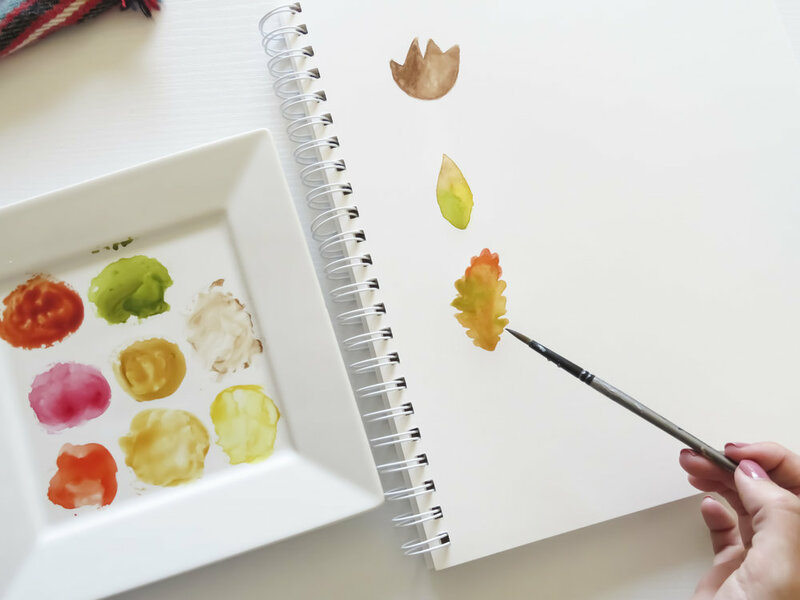 For this step, I think you'll definitely want to use a waterbrush, BUT a paintbrush and some water could also work. 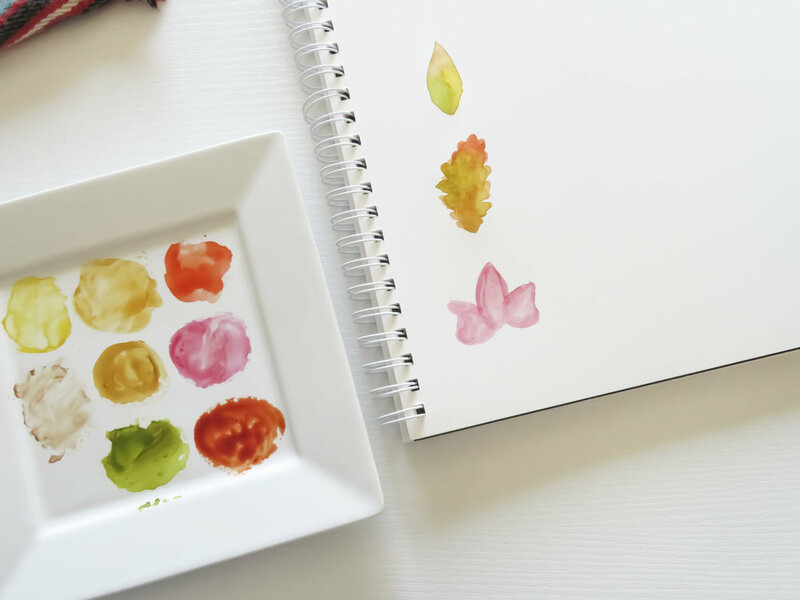 All you need to do here is blend the colors together using your waterbrush until the colors resemble a blended, tie dye type of texture. And Voila! You're done!! How easy was that? I for real can't get over how great this looks. Even all the messy areas where I clearly got out of the lines look really great, and help emphasize the tie-dye look! 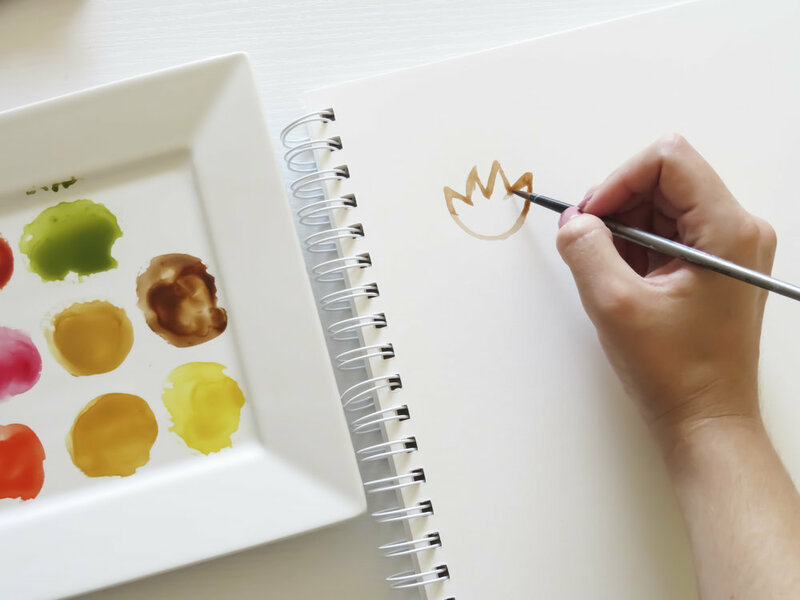 You can check out Brittany's website here, where you can also read her awesome blog, buy her practice sheets, and follow her around on the internet! I was SO excited to receive this mason jar-shaped wooden piece from Walnut Hollow in the mail! It took me little to no time to decide what I'd be doing with this beautiful piece....my husband and I already have a bit of a Ball Jar theme happening in our kitchen. 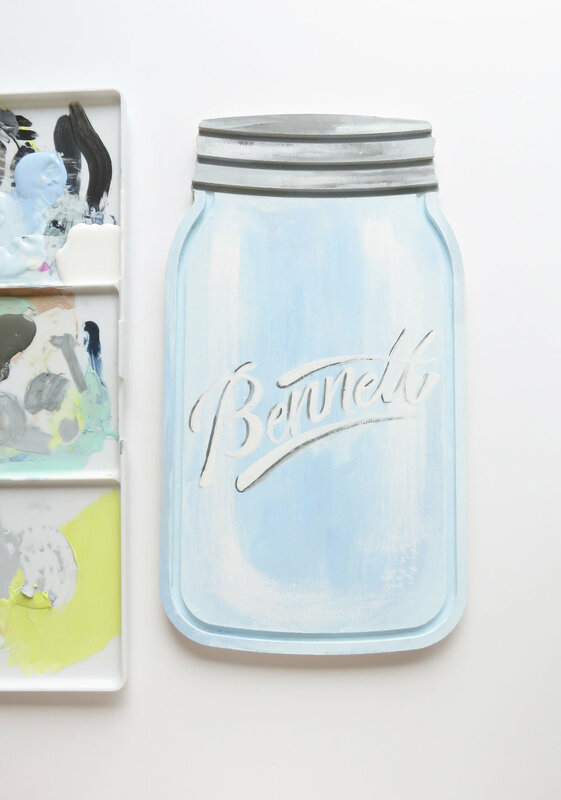 Our last name is 'Bennett,' so my imagination was soaring....a 'Bennett' Jar for the kitchen! 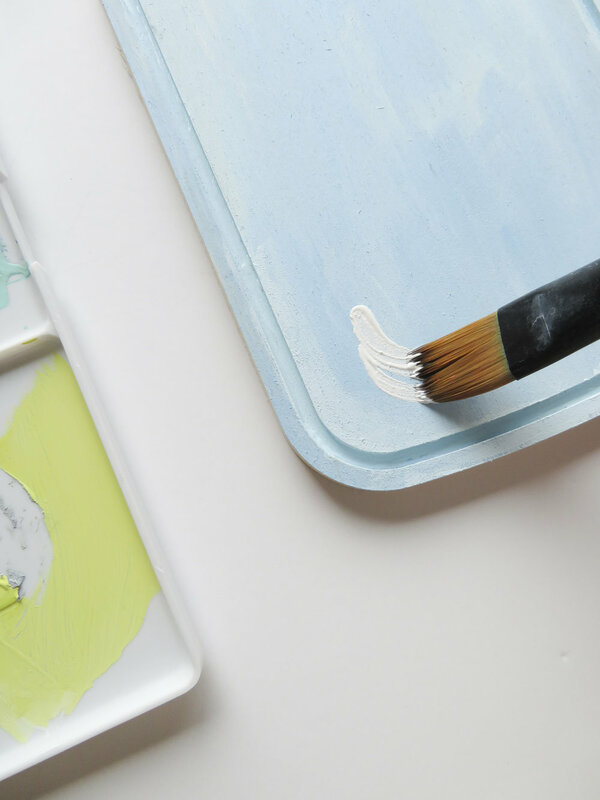 -Acrylic Paint in various brands in the above shades of blue, gray and white! You don't have to match these exact colors. I picked them because they were the closest Ball Jar type colors I already had in my collection. I began by putting some paint down on my (very used) palette. 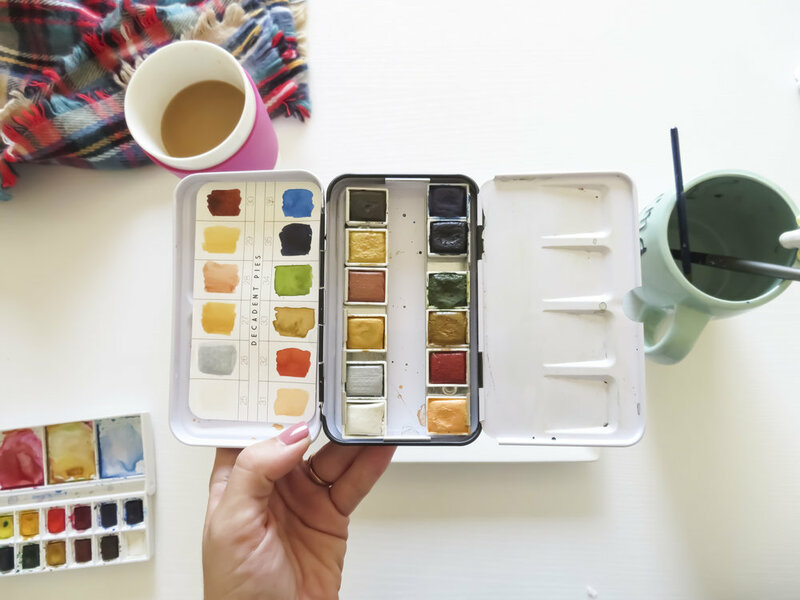 I am obsessed with my palette, which is why I use it all the time and it is absolutely covered in paint! Sorry not sorry it's not that appealing (but it is a-peeling...see what I did there?) to look at! I used a quarter-size amount for the lightest blue shade, because that is what I will use the most of. 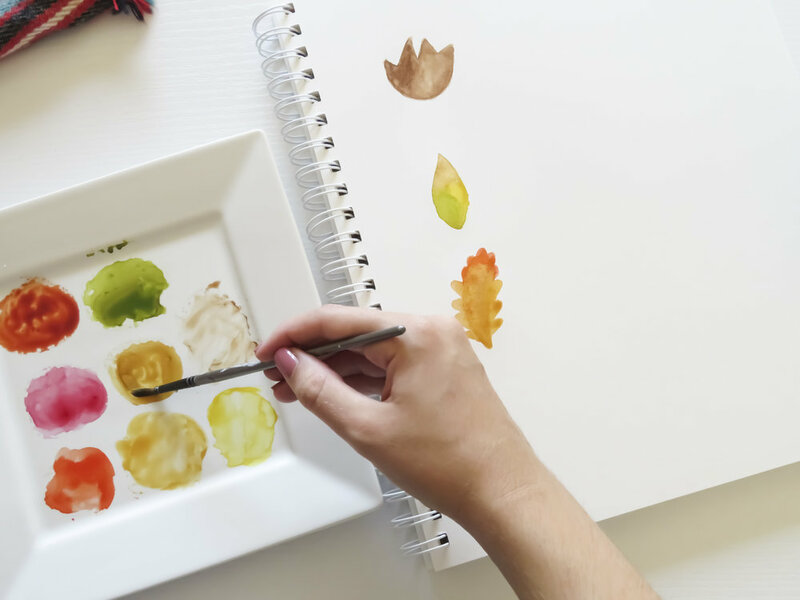 The rest of the paints are going to be used just to accent, so feel free to put even smaller amounts on your palette. The first thing I did was start brushing on the lightest blue shade. I made sure to do a thin coat because I wanted the natural grain of the wood piece to show through. Perfection is not the goal for this DIY! Once I had a section of light blue painted on, I added just a little of the darker blue to add some dimension. 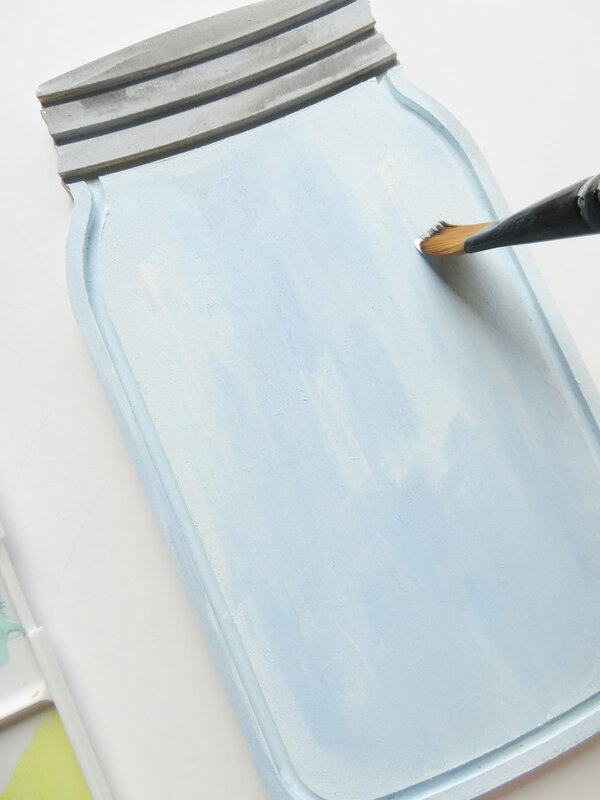 The darker blue shade should be brushed on really loosely, creating some very rustic-looking streaks of darker blue. This is what it looks like once you complete your coat of light blue with darker blue dimension. I toyed with what to do for the edge, but I decided to paint it in the same manner! Now for the lid! 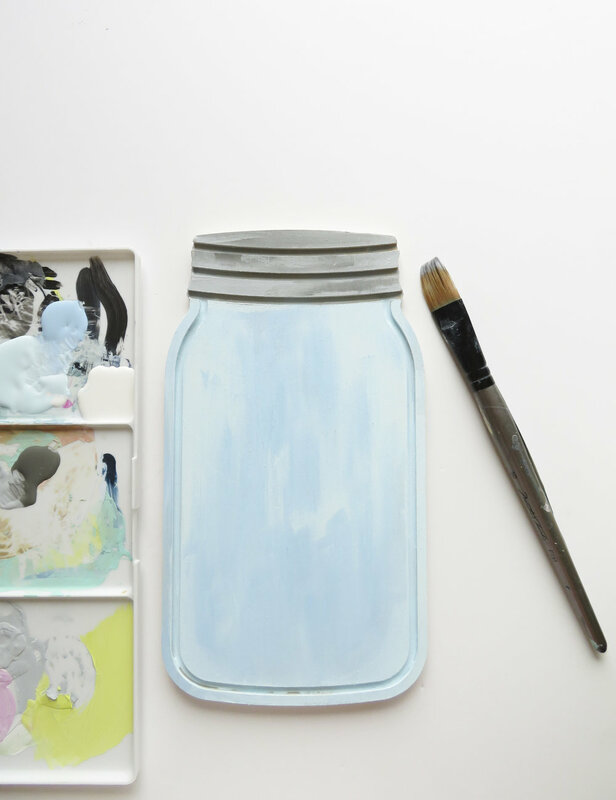 You could absolutely paint the lid the same as the body of the jar if you don't have a gray in your collection. 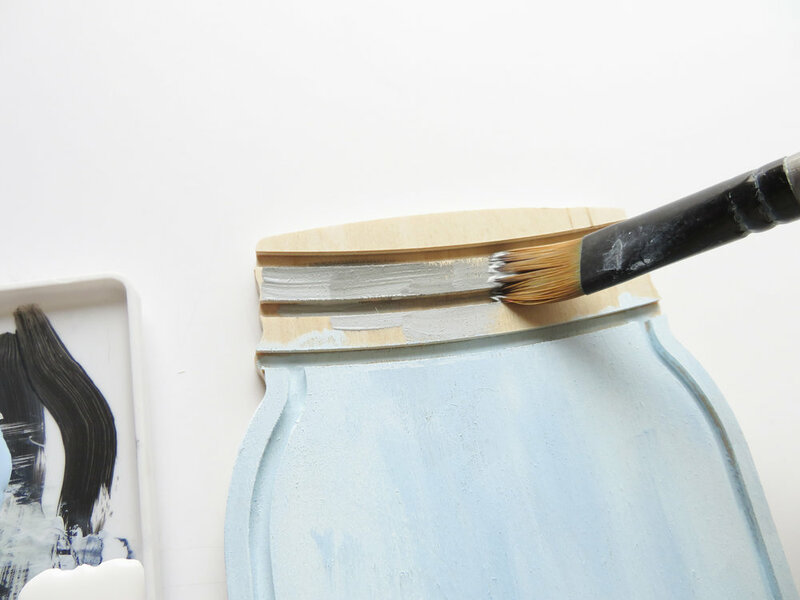 But if you do, I suggest mixing the darker and lighter grays right on your paintbrush. This will help with adding dimension to the lid! Begin brushing it on by swiping left to right. 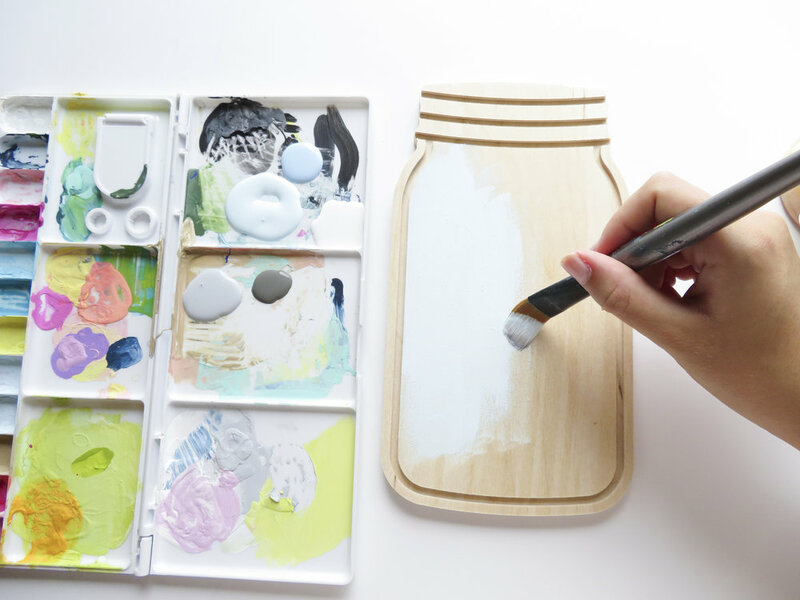 You want the 'grain' of this paint to be horizontal, where as the body of the jar is vertical. This is what the lid looks like once completed! Next, I added some white paint for shiny accent to the jar. 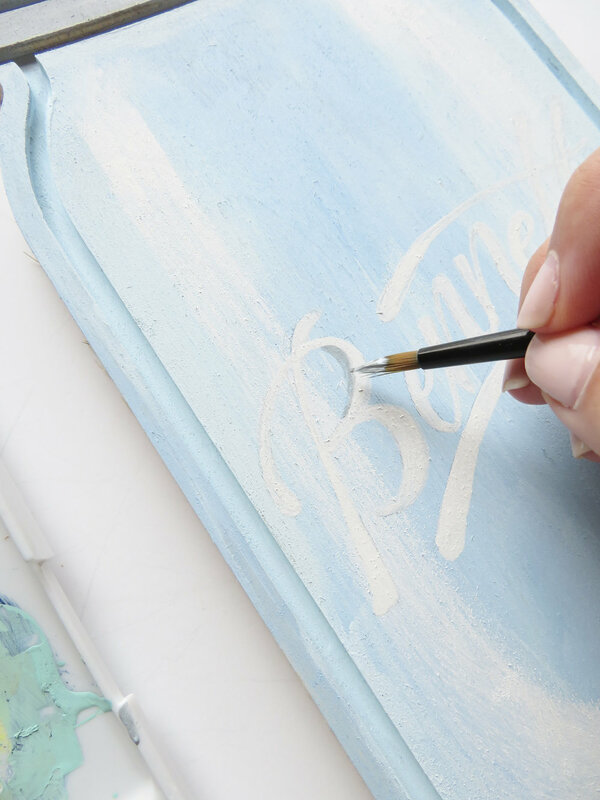 When starting this step, be really conservative with the amount of paint pick up on your brush. You can always add more later if you don't have enough shine. 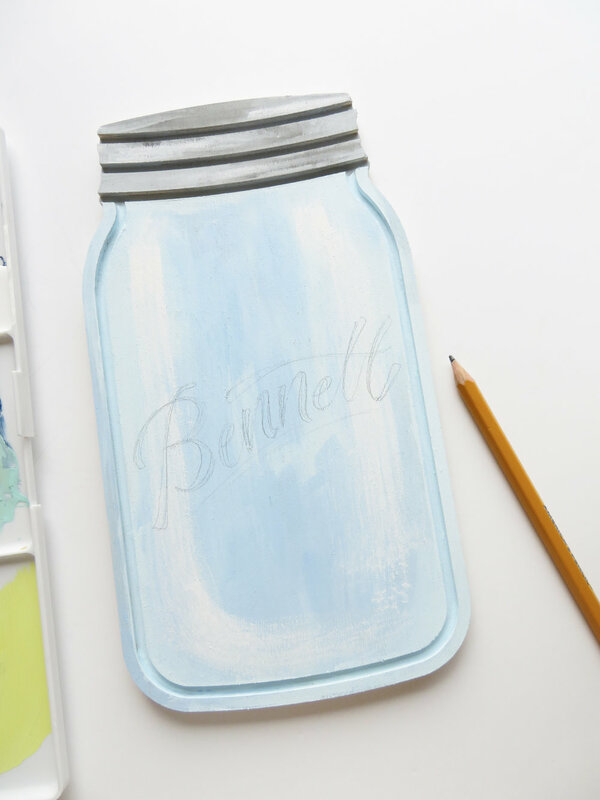 I added the white highlights to the outer edges of the jar, and a little to the lid. This is what it looks like once the highlights have been added! Next, I used a regular No. 2 pencil to sketch out my design. I am lucky that my last name starts with a 'B,' so I could use the actual Ball Jar logo as inspiration! Don't worry too much with the sketching step. Go over it as many times as you need, just remember to sketch lightly! 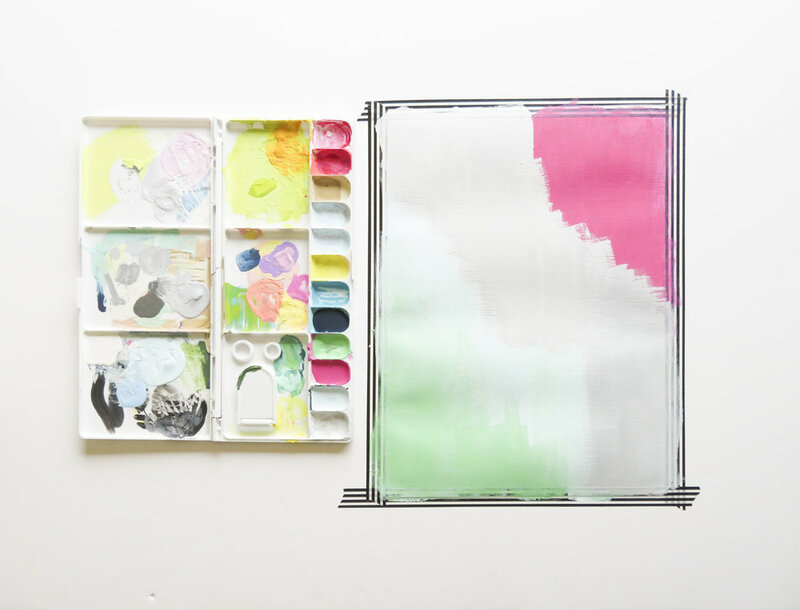 Once you're happy with your sketch, break out the paint pen! I did a very light coat of paint on my lettering first, because I wasn't sure how it was going to look. I began by using the medium point pen. *You could totally use white paint and a tapered brush for this part, but I never have great luck that way. I am much more comfortable with a paint pen and the precision that provides. Ultimately, do what's best for you! I went over my lettering a total of 3 times with the paint pen. I was surprised to see that I covered up all pencil marks, and had no need for the eraser! However, I suggest keeping one handy just in case. But remember, do NOT start erasing until your lettering has completely dried! Once my white paint pen lettering had dried, I felt it needed a little something to make it pop! So, I mixed up a little of this blue-gray color to use as shading for the letters. I had to dig out a really teeny detail brush to add the shading, but you could use any paint brush with a tapered tip! I love this part because you don't have to precise! I brushed my shading color on really loosely and it looked great. Finally, this is the finished product! I can't decide if my shading is too dark, or if I'm just really critical. Either way, I am really stinkin' happy with how this turned out. This project is really out of the ordinary for me, and such a fun way to shake up my normal arts and crafts routine. Where on earth will I put this? I'm sure it's going to end up in my kitchen, but for now, I'm keeping it on a bookshelf in my office because it's so stinkin' adorable!!! What do you think? Tell me in the comments below if you'd like to see more projects like this! 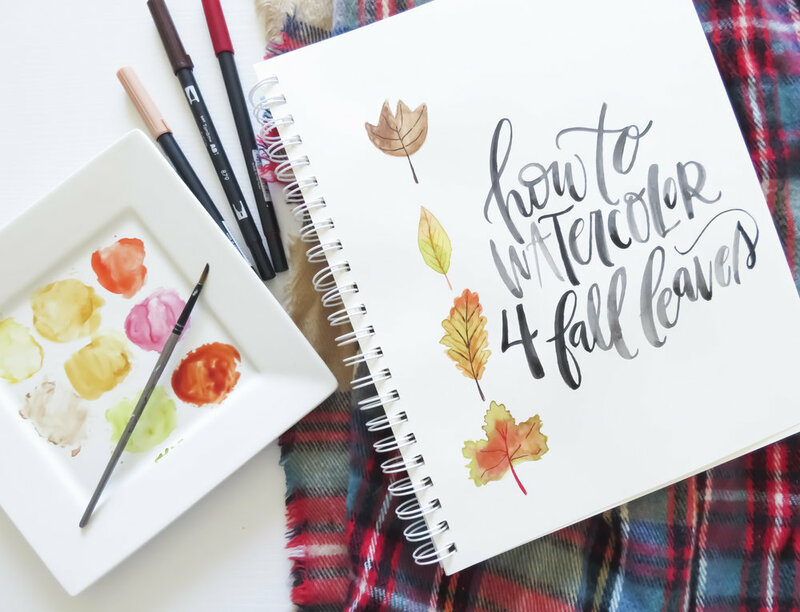 I'm so excited to bring y'all this extra colorful lettering tutorial today! 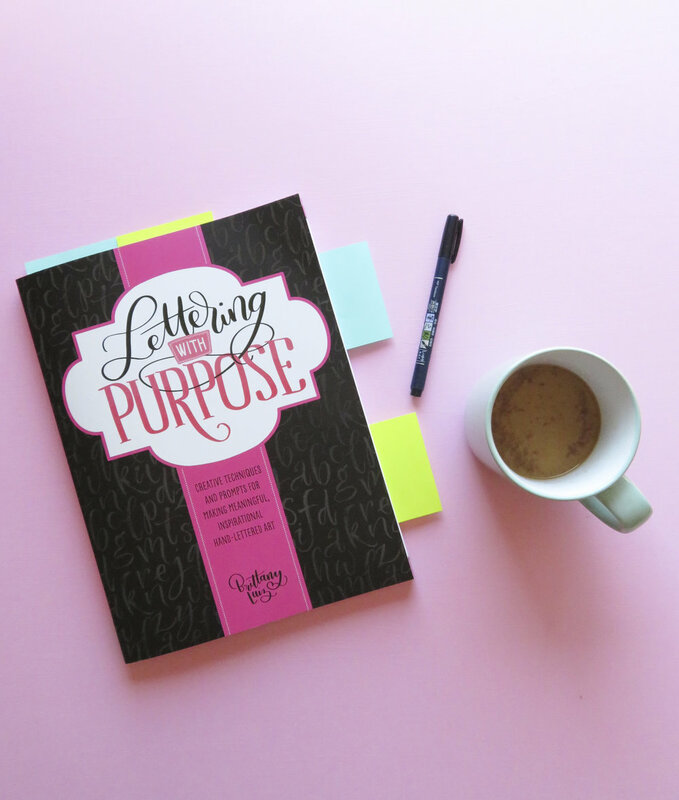 Today's blog post is made possible by Cricut and Tombow. 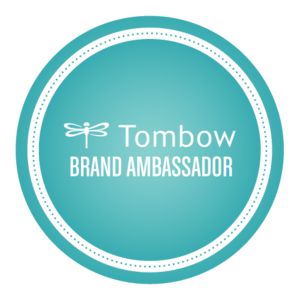 As you all know, I am a brand ambassador for Tombow USA, and I received the TwinTone Markers and the brand new Cricut Bright Pad as part of my ambassadorship! HUGE shoutout to these two amazing companies for being so generous with their products. As you all know, I love brush lettering. It is my go-to form of lettering and what I find easiest. However, that doesn't mean I don't dabble in other styles. To be honest, I don't show much of that here because my perfectionist nature gets in the way! But today, I'm embracing my messy side, and pushing perfection far, far away. 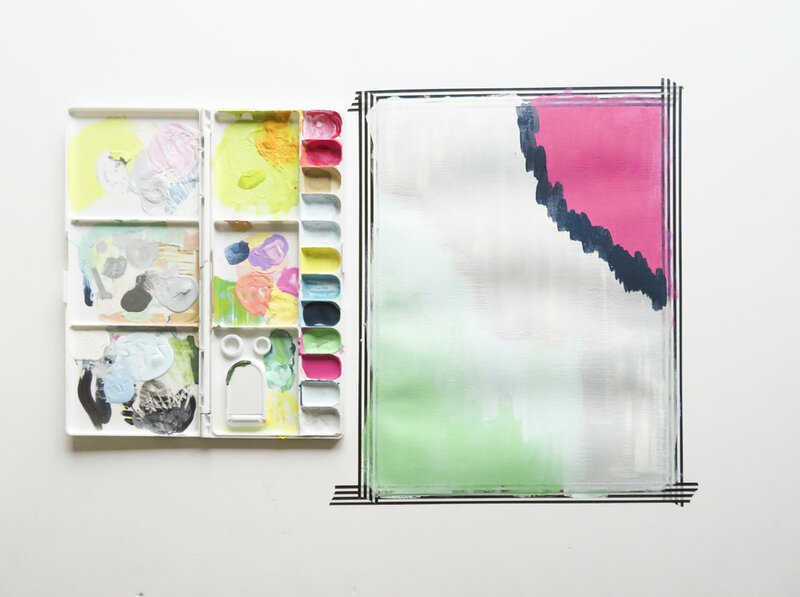 In this tutorial, you are encouraged to scribble, encouraged to make crooked lines, and invited to say YES to the MESS. Here we go! 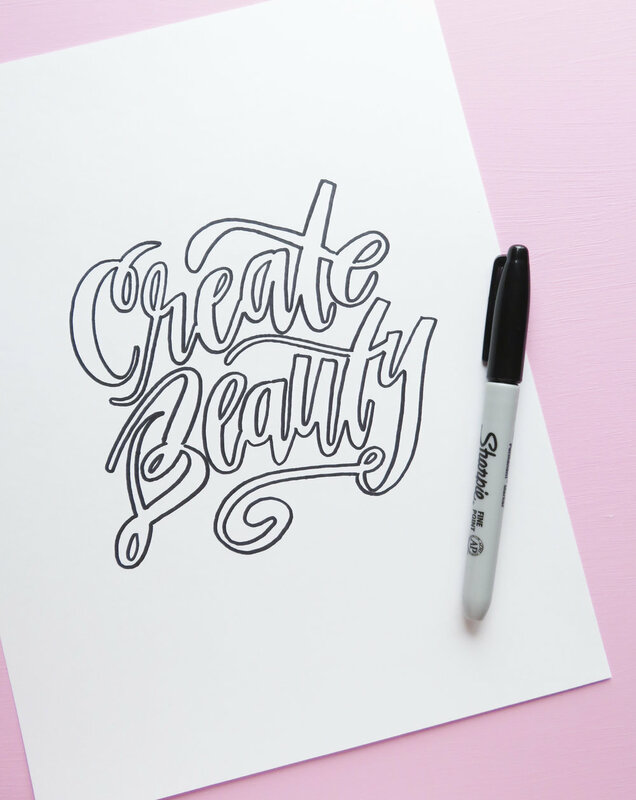 I have always loved the lettering style of Caroline Kelso Zook of Made Vibrant. 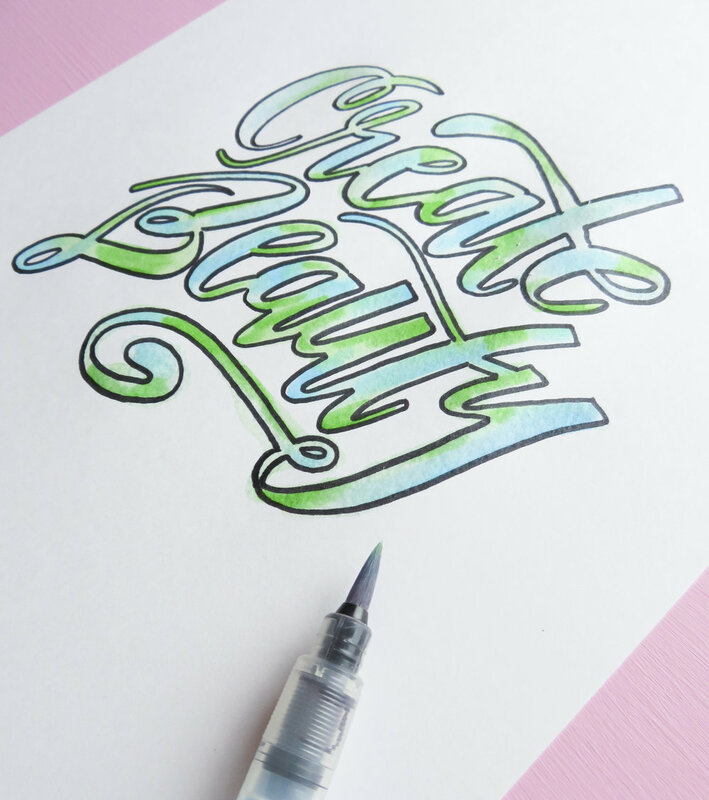 Today's lettering tutorial is heavily influenced by her colorful, vibrant, messy aesthetic. However, I found it difficult to simply start from scratch and create something in this particular aesthetic. My lettering is pretty clean and simple, so I needed somewhere to start. I began by choosing a lettering piece I'd created for Instagram, and decided I could 'dress it down' with this technique. I placed my lettered piece on the BrightPad, and placed another sheet of paper on top. Both papers are a heavy-weight cardstock. I tried using regular copy paper with this tutorial and found it wasn't quite sturdy enough to handle the 'scribbling process.' You'll see what I mean later! Or you could take your markers straight to the paper and not have to do any erasing! This is what I did for the remainder of the tracing. 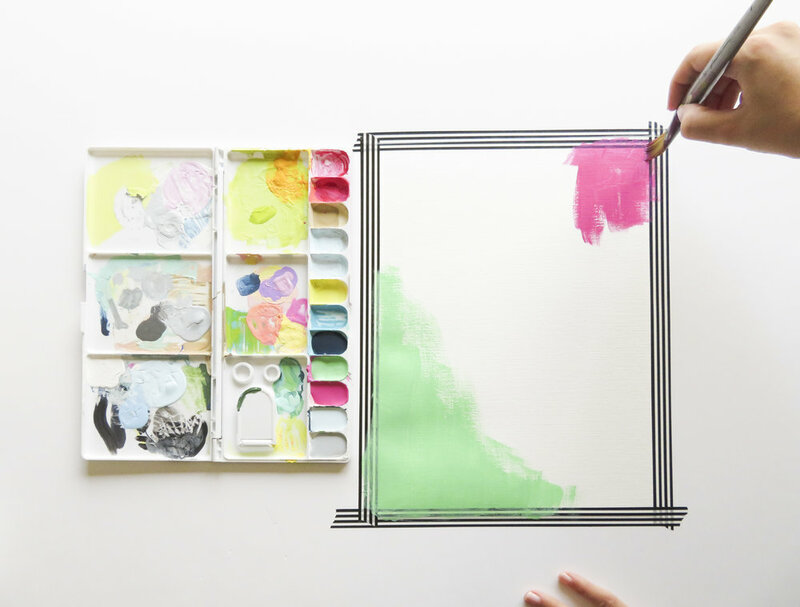 Theoretically, I could complete this tutorial with any colored brush pen or even a permanent marker! However, I'm opting to use the new Tombow USA TwinTone Markers because the colors are absolutely like CANDY. The markers are dual-ended, with one large nib, and one extremely dainty nib. Here's where the scribbling comes in. I love the look of leaving little white spaces everywhere to give the lettering more character and quirk. Scribbling color onto each letter is the perfect way to achieve this look. 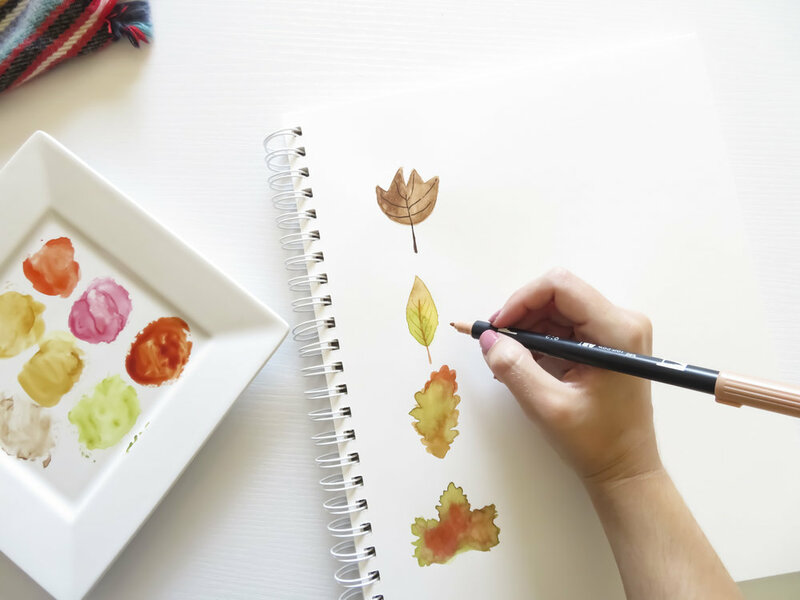 Don't worry about getting outside the lines, because it just adds more character! Next, I pulled out one of my MONO Drawing Pens in 03 nib size. I did a review of these pens here! I used this pen to outline the letters. This part is also really fun because it doesn't have to be perfect. In fact, I think it should be far from perfect! And you can tell 'farm from perfect' is what I got here, because I didn't even outline one of my 'g's for some strange reason!!! What was I thinking? That's it, y'all! That is my tutorial for extra messy, imperfect, BOLD lettering that pops. This little piece is ready for a frame or a corkboard right where I can see it in my office! Have you tried any of these products yet? If so, let me know which one(s) in the comments below! I would LOVE to talk shop with you! Hey y'all! Today on the blog, we're getting down to biz-niss. I get asked a LOT of questions, which is totally fine by me. Most of the time, I'm asking you to ask me questions. So it's all good. For at least a year now, there's one question I've been getting consistently. I love this question because I also had the same question about 2 years ago when I began lettering. I was struggling to take a decent photo of my work to save my life!! They were AWFUL... here's proof. TO BE FAIR: my lettering style hadn't yet blossomed, and I had not yet heard of the brush pen. But, still, these photos are pretty sub-par. Even when I discovered the brush pen a few months later, and my lettering suddenly improved by 109328% (seriously, I was made for the brush pen), my photos weren't great. I mean, what is that blush-colored tracing paper?! And that chartreuse tape? It's actually butter yellow in real life, and blush tracing paper doesn't exist (though I totally wish it did). My photo skills were way off, y'all. And that's fine. Honestly, I wish I could say there was a magical quick fix. I wish I could say "then I discovered this course" or "this blog post that changed everything!" But I can't! There was no course or blog post. There was only months of trial and error and experimenting with how to take photos that represent my voice, my brand, my products, and my knowledge. It was a struggle, but there is good news. Such good news. I did it all with my iPhone and a few iPhone editing apps. Now my social media, my website, and my Etsy Shop (when it was still open!) were full of photos that reflected the TRUE look, feel, and personality of my work! And I did it all without a fancy DSLR camera. You might be thinking "I don't have an iPhone." That's fine! I am using the word iPhone because that is what I have, and have always had. I do not know about other smartphones. However, if you have a newer model of a smartphone, with a decent camera, and have in-phone editing apps available to download in your phone's store, you are good to go. The ebook is mostly about setting up the photo and using natural light...not about how to actually use an iPhone camera. I've also honed in on my flat lay iPhone photography skills and been able to take almost all of the flat lay photos for the podcast I co-host with my business bestie, Misses Ambitious. If you think that photo looks like it came from a device other than my iPhone 6, you're wrong! So, what did I learn after months and months of trial and error and testing different editing apps, figuring out the secrets of the iPhone, and mastering the hunt for the perfect natural light? Well, I'll tell you! Soon. Because I want to be 100% open with y'all, I want you to know that I'm working on the BEST, most info-packed course on iPhone photography right now. 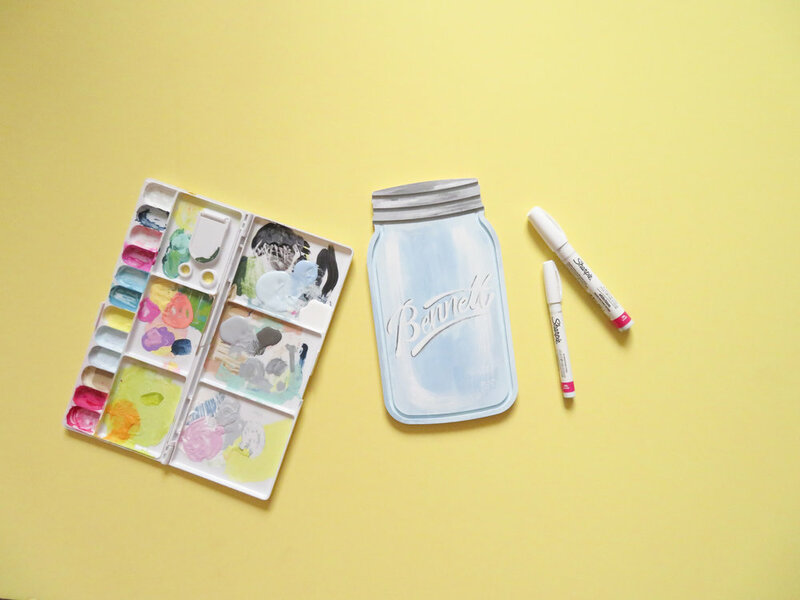 But until that's ready to go, I wanted to give you a FREE guide on flat lay photography. This 7 page e-book is full of tips and tricks I use for taking better photos, and examples that highlight how you can up your photo game as well! What's even better about this e-book (AND what will be amazing about this course) is that I am working with a professional photographer to guarantee the information I am giving you is correct. I'm not making up any fancy terms here---I've learned them from a pro. And this pro approves of this e-book! To get access to the e-book, simply click this box and sign up for my mailing list, where you'll get even more iPhone photography tips and updates on my upcoming course! Once you're signed up, you'll get full access to this free guide, and I know you're going to love it. I am so excited to share this awesome news with y'all, if for no other reason than to talk about something I'm oddly passionate about: iPhone photography. It's just one of those things that makes sense for us online business owners who are already doing it all. We don't necessarily have the time to learn REAL photography, not do we have the finances. Most of us have a smart phone, though. And that is why this course will be so freakin' amazing. If you have any questions about the upcoming course or the e-book, please leave them in the comments or contact me directly here. I can't wait to connect with y'all, and show you what I've been working on! 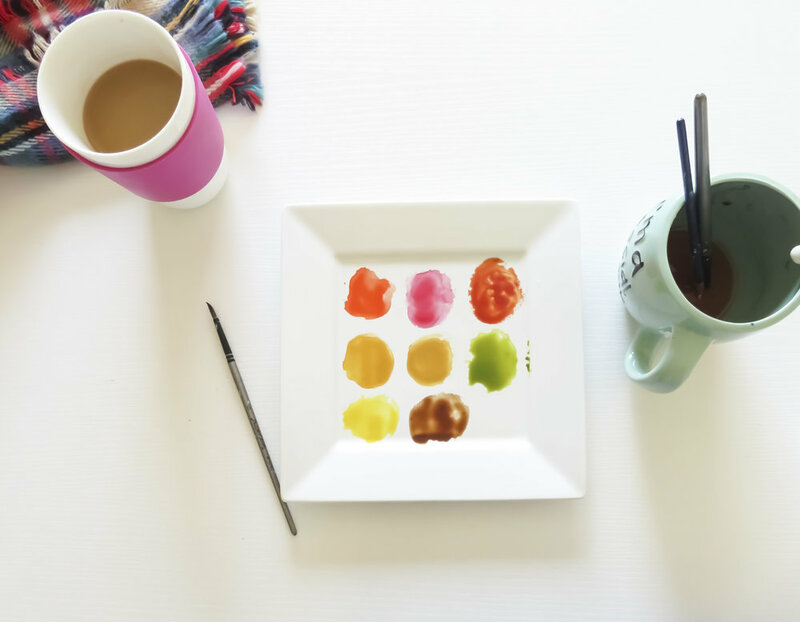 Online Learning with Skillshare: iPad Lettering, Watercolor, and An Awesome Offer For You! 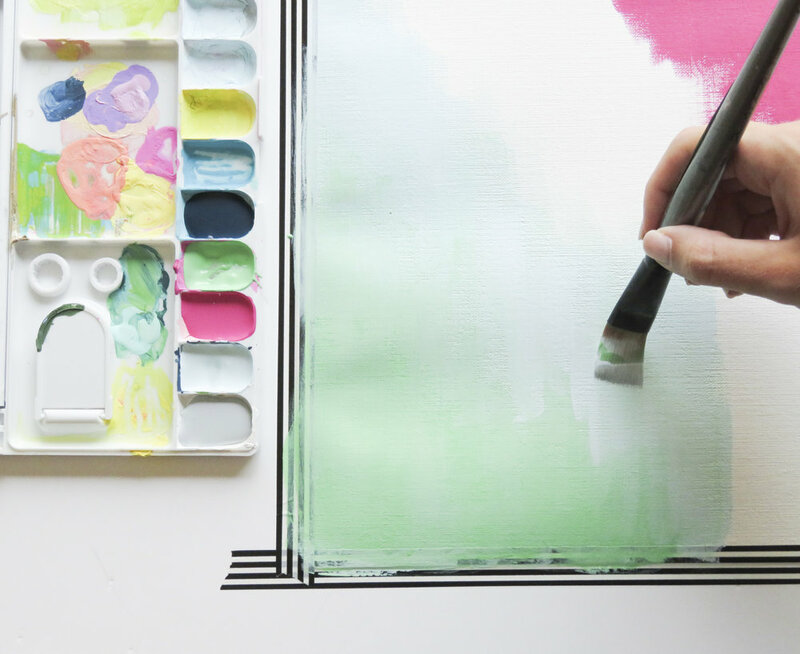 I’m so excited to partner with Skillshare on bringing you this really special post! Please stick around until the end when I have a really great offer for y’all, thanks to Skillshare! At the time I was first introduced to Skillshare back in early 2015, I was learning about and teaching myself graphic design. 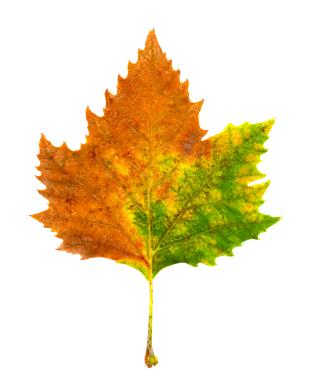 Skillshare was an excellent online resource for helping me along in my quest to conquer Adobe Illustrator and Photoshop. I will never forget how valuable those classes were to me in the beginning of my creative career! Not to mention, they totally sparked my interest in teaching online courses. If you haven't heard of this amazing learning platform, it is what I would consider the BEST and largest database of online classes out there. For as little as $15 a month, you have COMPLETE access to over 16,000 classes that cover creative, business, technology, and lifestyle topics. Everything from illustration and lettering, to film production and accounting. 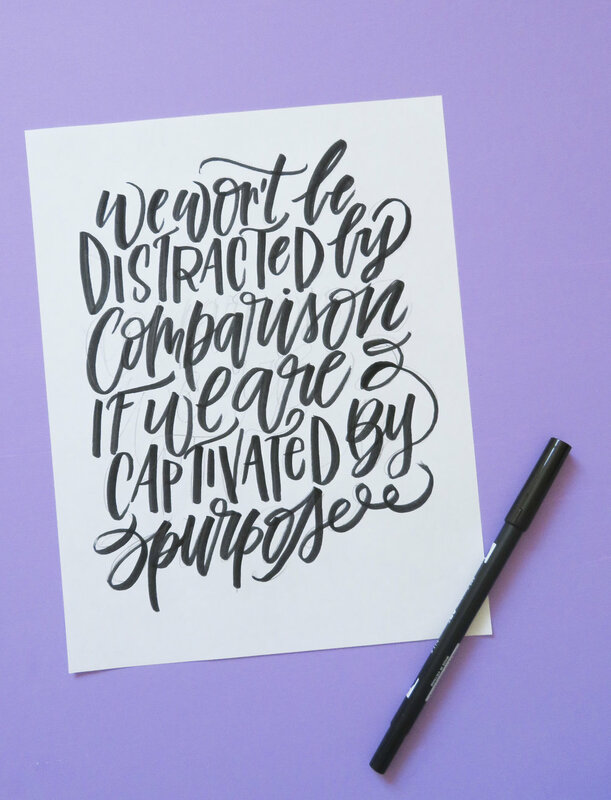 Skillshare was actually one of the first online resources that introduced me to the world of brush lettering! 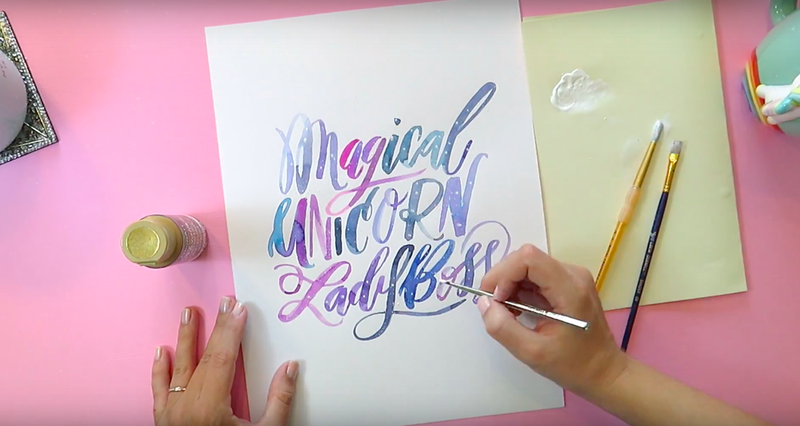 Before I even purchased my first brush pen, I had watched ALL the brush lettering classes possible on Skillshare. That's why I'm so excited to give you a review of 3 classes I took on Skillshare this month, and to offer you the craziest deal ever: two FREE months of Skillshare Premium, so you can see what the fuss is about for yourself! This class jumped out at me because I have really been loving my watercolors lately, and also because I just received the new Tombow Mono Drawing Pens, and have been searching for new ideas on how those two can work together. 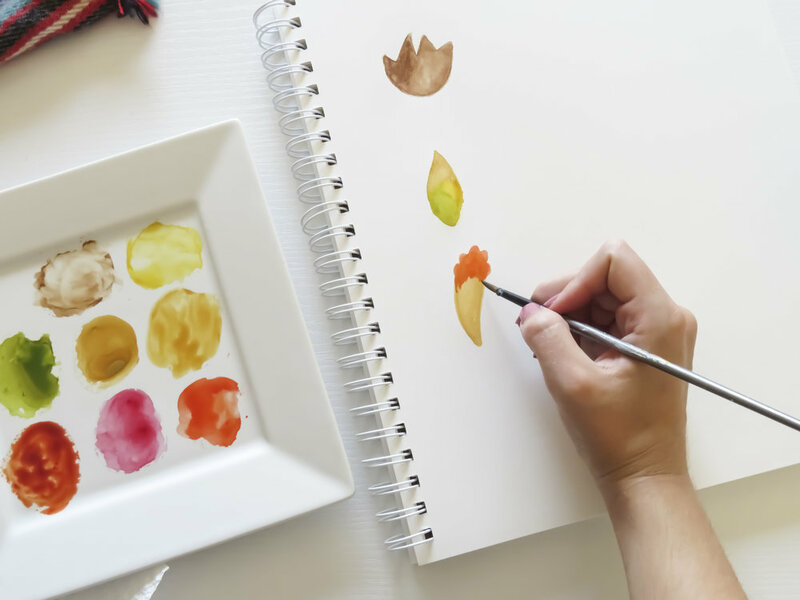 This class was the PERFECT inspiration for creating fruits, vegetables, and florals that I could see myself turning into a pattern, a print for the kitchen, or even a tech wallpaper. 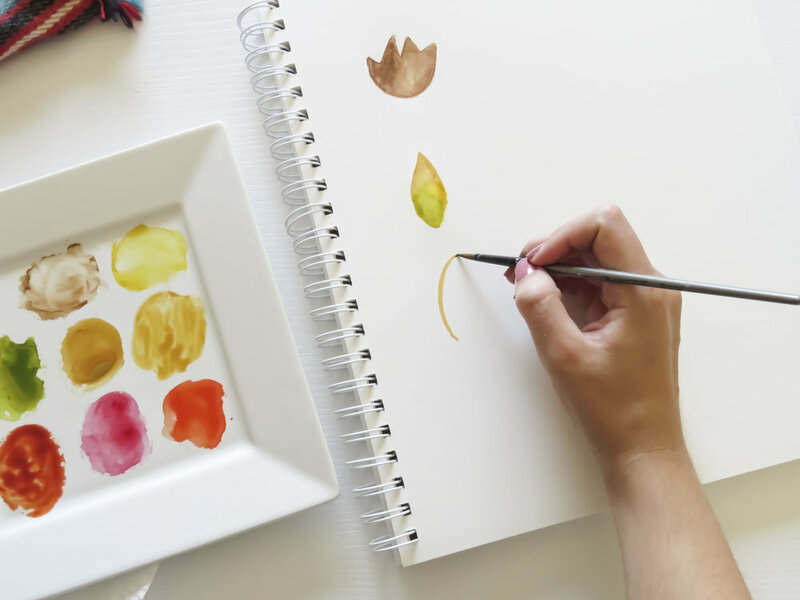 This class is not for the beginning watercolor artist (although there are PLENTY of beginner watercolor classes on Skillshare). 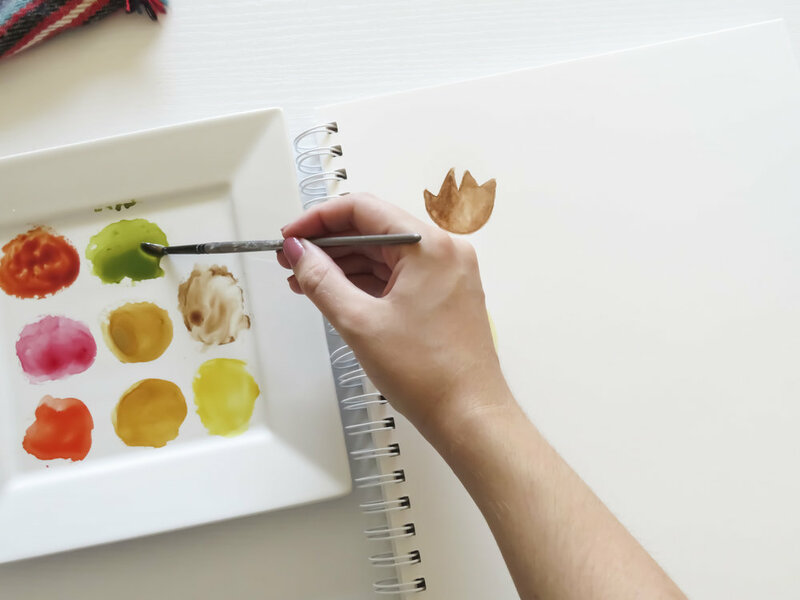 This class is simply to show you how you can use black ink to dress up your watercolor illustrations. Ohn Mar Win has the most relaxing voice, and was an excellent instructor, and I learned so much in this short class. 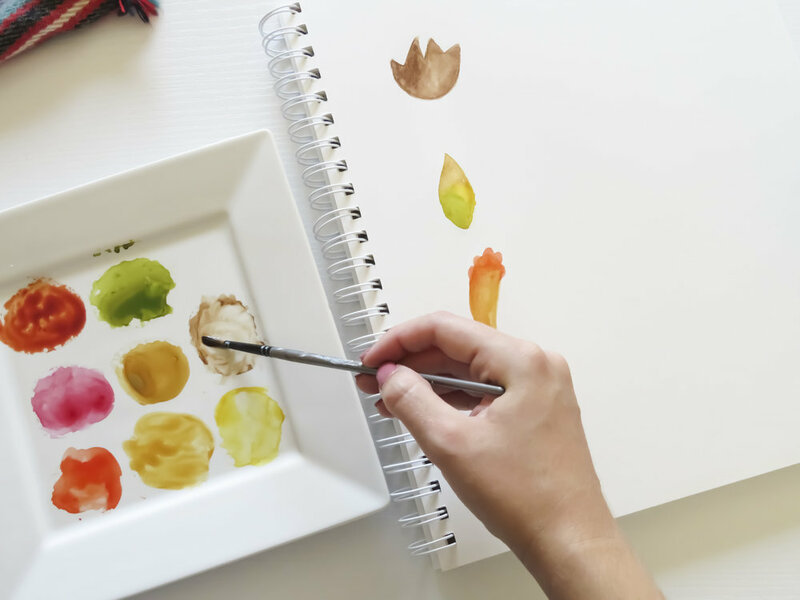 In this class, Win instructs how to paint each object, and how to use an ink pen, step-by-step, to draw the inky details. I am so proud of how my project turned out! Also, my husband, an artist, himself, noticed this page in my sketchbook and was truly impressed. Score! I’ve been subscribed to Teela’s youtube channel where I've followed her Adobe Illustrator tutorials religiously for at least 1.5 years. 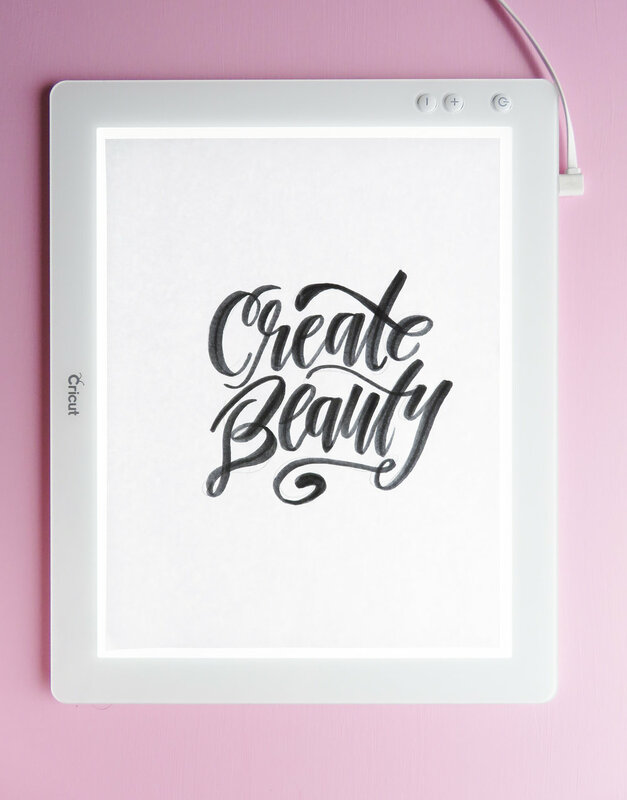 I already know she's an amazing teacher, so when I saw that she offers classes on Skillshare, I was like “HECK YES!” Before this class, I didn’t consider myself a beginner at iPad Lettering...but after---I realized I totally am. Teela introduced me to many aspects of Procreate and iPad Lettering that I didn’t previously know, which I consider a huge success. This class was much longer than the first one, totaling an hour and twenty minutes. Though that seems like a long time, Teela really makes it fly by (especially if you speed it up 1.25x--an option Skillshare offers), and she packs so much good information in that time span. 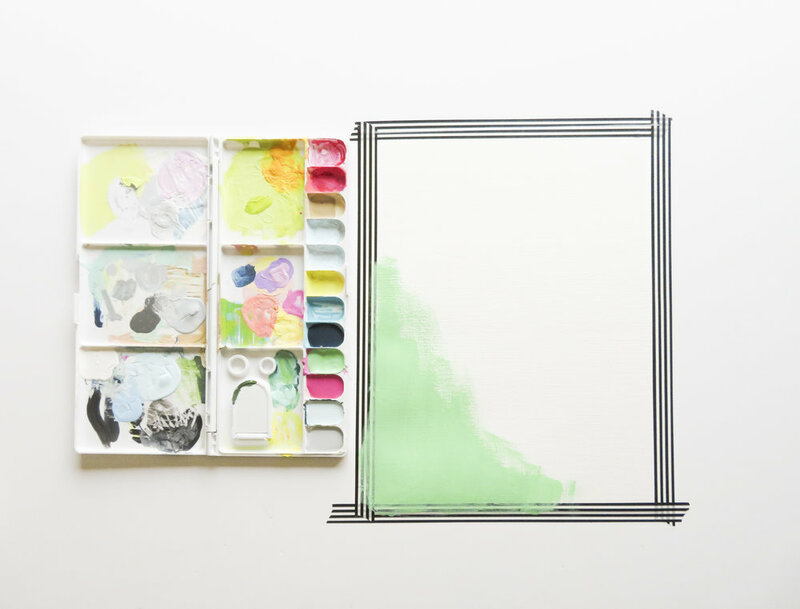 Teela’s class includes ‘class projects,’ which is an awesome feature on Skillshare. In her class, she uses three lettering guides that students are encouraged to download (very easy process) to use as they follow along in the class. 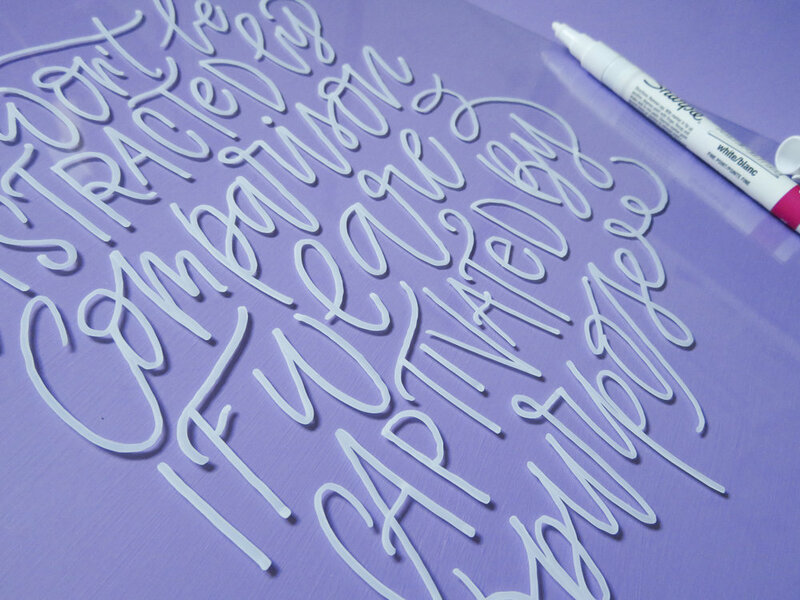 Not only are the lettering guides great for her class, but you have them forever! Pretty cool, if I do say so! Teela taught me how to use a glitter texture (also a free download in the class) to create this glitter lettering! Totally easy and very impressive! If you didn't know already, in addition to watercolors, I've been working on my illustration skills. It is my MISSION to conquer character illustration. I jumped at the opportunity to take this class by the extremely talented Amarilys Henderson. In this class, she goes through the basics of creating a face: the hardest part of illustrating people! She walks you through how to capture the nuances and emotions and defining characteristics of various facial types and ethnicities. I was truly impressed at how easy she makes it all look, and shocked to find I wasn't as horrible at it as I had anticipated. I absolutely adore Henderson's loose, cartoon-y illustration style, but if realism is more your thing, don't worry...there's a class for that, too! 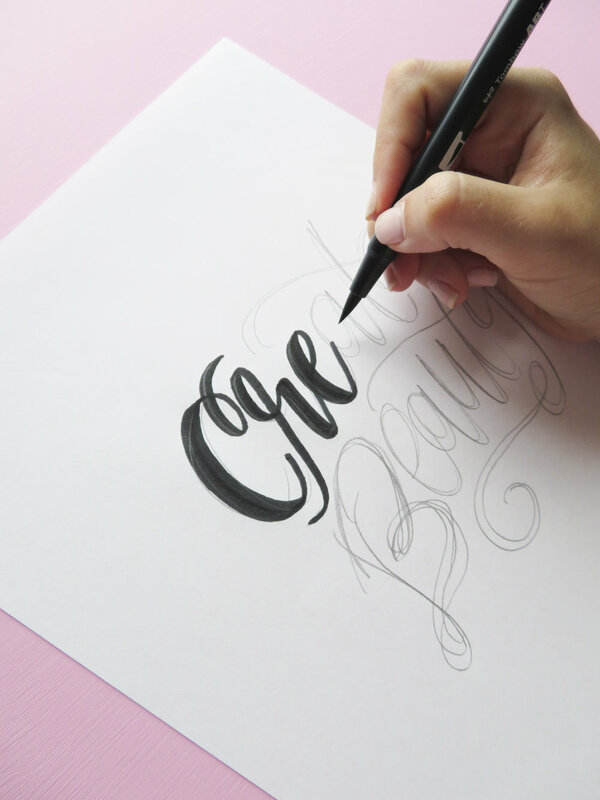 There are over 300 classes on lettering, alone, on Skillshare. 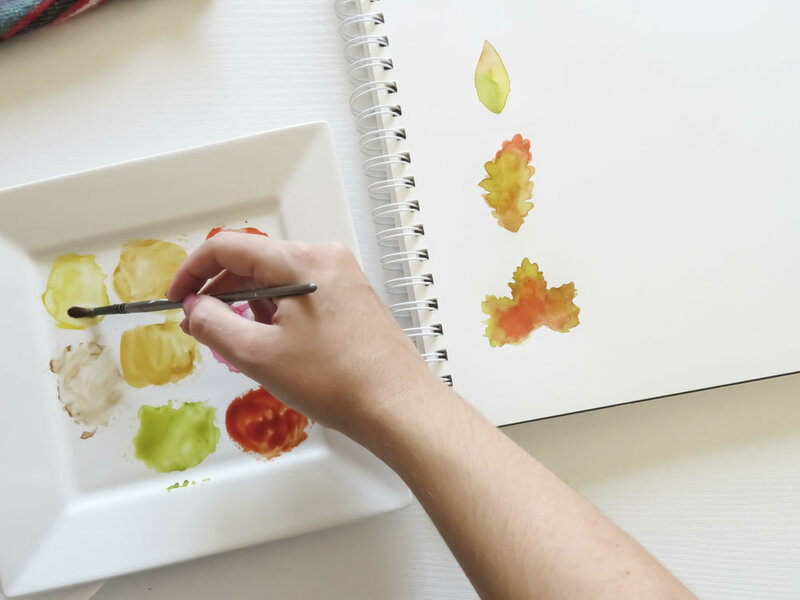 There are almost 400 classes on watercolor. Over 1700 classes on illustration. 900 classes that cover Adobe Illustrator. 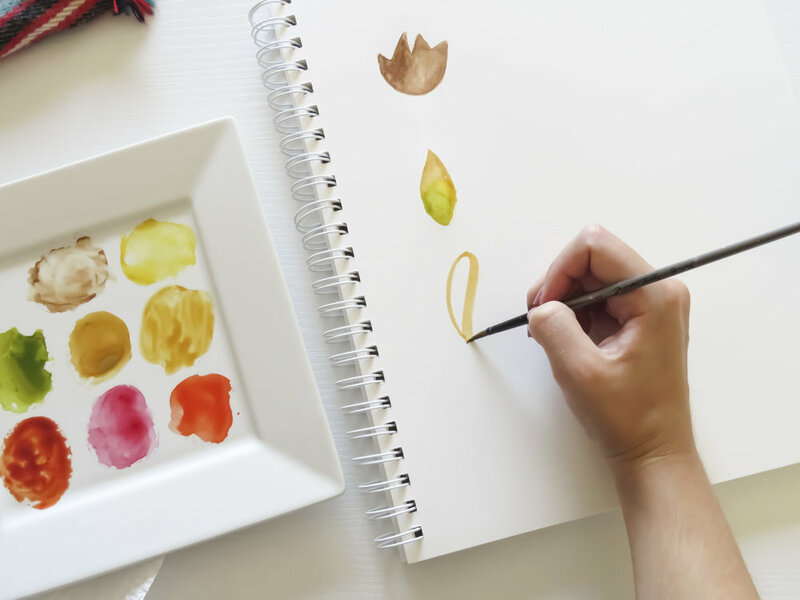 If you want to branch out of your comfort zone and learn new mediums and new methods of art, you NEED to get over to Skillshare right now. 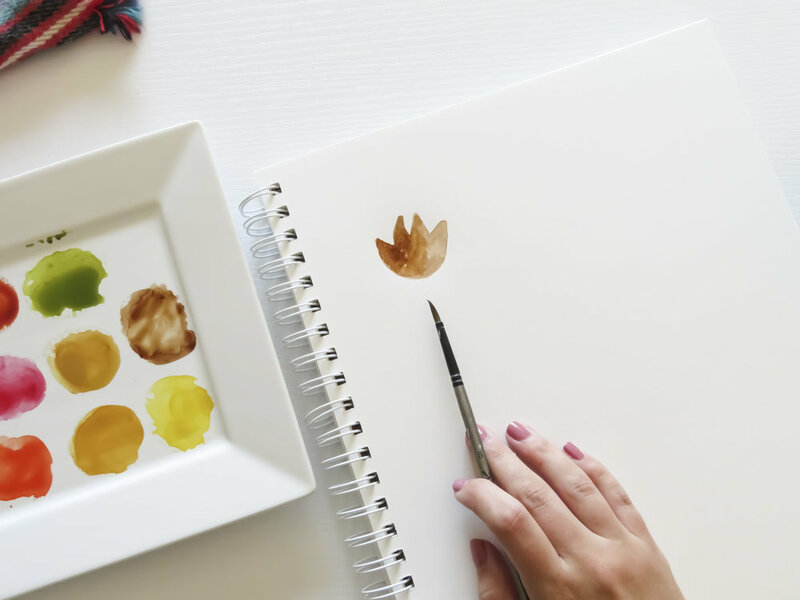 And if you're just getting started in your creative business, and you want to hone in on your skills or learn important business lessons from established biz owners, you need to get over to Skillshare right now! Skillshare is helping me offer you two FREE months of Skillshare so you can try it out for yourself and get totally hooked. I always love getting packages from Tombow USA! As a brand ambassador, I am so LUCKY and #thankful to get the chance to try their newest products, and review them here on my blog, and this package was no different! This past week, they rolled out their newest product, The Mono Drawing Pens. To say I was PUMPED would be an understatement. I've been exploring other mediums besides ink lately (you can see a taste of that here), and I knew these pens would be a fabulous addition to that medium. But more on that in a future blog post...here's my first impression on the Mono Drawing Pens! The pens come in a pack of 3, with various nib variations that can all serve a unique purpose. The nib sizes are 01, 03, and 05. 01 is a teeny-tiny little bib and 05 is the largest of the three. This pack of pens is comparable to Microns in both feel and price-point (depending where you buy them), but after a week of playing with the Tombow Mono Drawing pens, I'm definitely a fan! The 01 Nib is my hands-down favorite! I've reached for this one the most to add details to the watercolor drawings and Dual Brush Pen doodles I like to do for fun. Here's an example of a watercolor doodle that absolutely 'popped' after I added outlines with the 01 Mono Drawing Pen. All in all, I say the 01 is my personal favorite pen because, as I get more into watercolor and illustration, I find that I love the delicate black lines I get from the 01 nib! The 03 nib is the medium size, and I think it's most useful in lettering! The lines are a bit thicker than the 01, but not quite as bulky as the 05. This nib would be PERFECT for faux calligraphy, which I'm going to show you in a future blog post. I will link it here when it's posted! Finally, the 05 nib is absolutely the best for drawing! I'm not much of a black ink artist, but I can totally see myself getting into it with this thick nib! This nib will be excellent in filling in areas of faux calligraphy, and for adding shading, cross-hatching, or other heavy, dramatic details to any doodles or traditional hand-lettering.